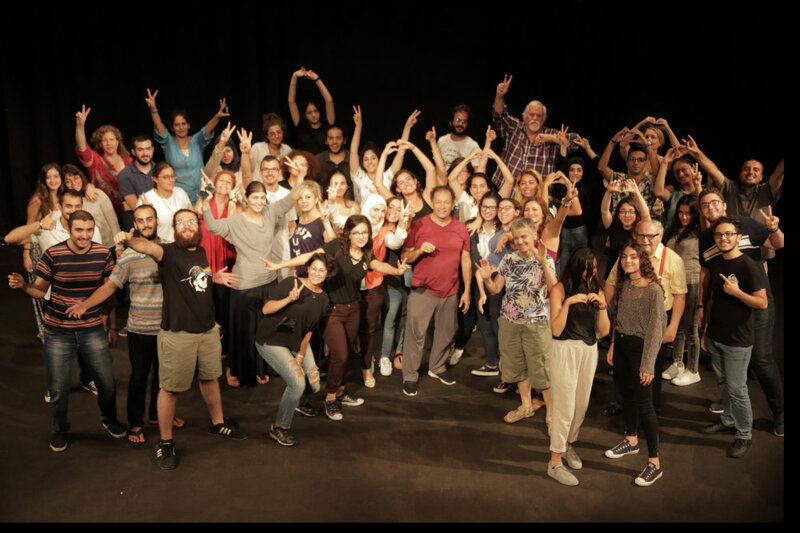 2018-08-16IMAGINE, a Fantastic Summer Camp32 teenagers wrapped up IMAGINE’s second-annual Summer Arts Camp with a full-length performance at LAU’s Gulbenkian Theater in Beirut. The young singers, actors, and dancers charmed the audience with a musical production they had been practicing the previous three weeks of camp. 2018-07-09Imagine Summer Arts Camp kicks off againAmalgamating music, dance, and theater, the camp is initiating a new method of performing arts education. April 16, 2018شارع الهرم انتقل الى بيروت مع مسرحية "كازينو الأنس"ولكن العز لا يدوم طويلًا، فسرعان ما تفضحهم مجموعة تسريبات تجعلهم أسرى لـ"كازينو الأنس"، حيثُ تتكشّف معلوماتٍ خطيرة عن حادثة أغتيال رئيس أمن الجيزة، كان تمّ طمسها عن الرأي العام بسبب التضليل الإعلامي. April 16, 2018A Large and Eclectic Musical Bursts onto the Theater SceneCasino el-Ons brings charm and diversity to LAU’s major spring production. 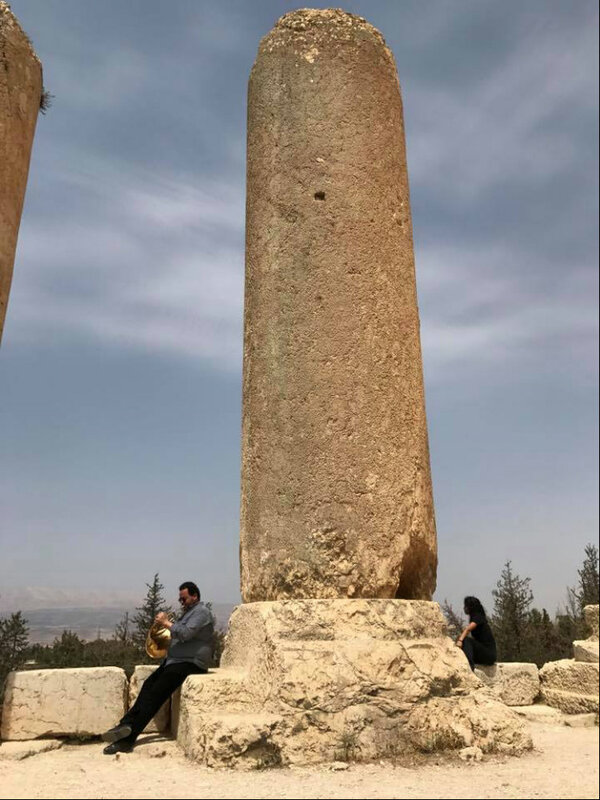 April 16, 2018«شارع الهرم» إنتقل إلى LAU «كازينو الأنس» يكشف الوجه التفي عصر يسهل فيه الحصول على المعلومة، يسهل أيضاً التضليل. 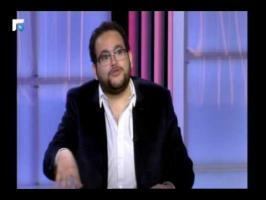 في «كازينو الأنس» الواقع في شارع الهرم في القاهرة، سنكون شاهدين على انقلاب قدر خمسة أشخاص بسبب «تسرّب» معلومة إلى الإعلام، وخضوعها لمختلف أشكال الفبكرة والتضليل. كل هذه الأحداث ستجري في جو خفيف وظريف وقريب من الناس. April 16, 2018صورة طبق الأصل عن ملاهي شارع الهرممن حسنات المرجعيات الأكاديمية الجامعية أنها وسّعت نطاق إهتمامها ليشمل عنصر الترفيه في الفن فلا تبقى التجارب محصورة في الإطار النخبوي الجاد، وبالتالي تخرج المشاريع إلى النور مع جماهيرية مضمونة لأنها تحاكي الواقع وتتفاعل معه، مثلما فعل المخرجان المصري "عمرو سليم" واللبناني "عوض عوض" في مسرحيتهما "كازينو الأنس" على خشبة "غولبنكيان" بالجامعة اللبنانية – الأميركية (lau) في بيروت. 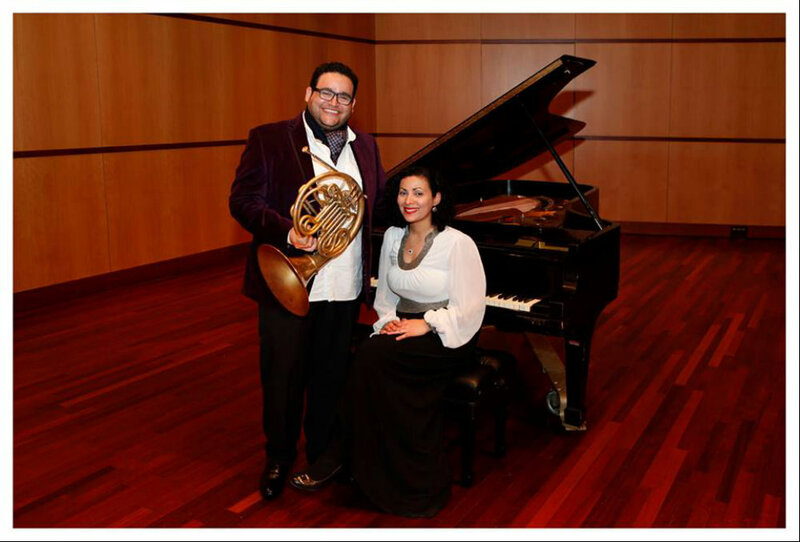 February 26, 2018LAU Holds Lebanon’s First Autism-Friendly ConcertIMAGINE concert series concludes its third residency with an event geared toward children with autism. 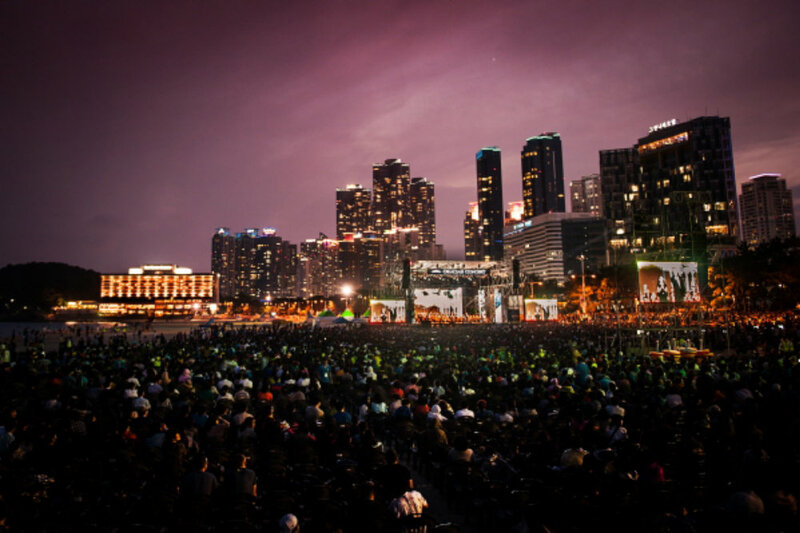 January 20, 2018Common Sounds wins the Knight Foundation GrantOne-of-a-kind and versatile, Common Sounds is composed of Western classical musicians and traditional global artists. 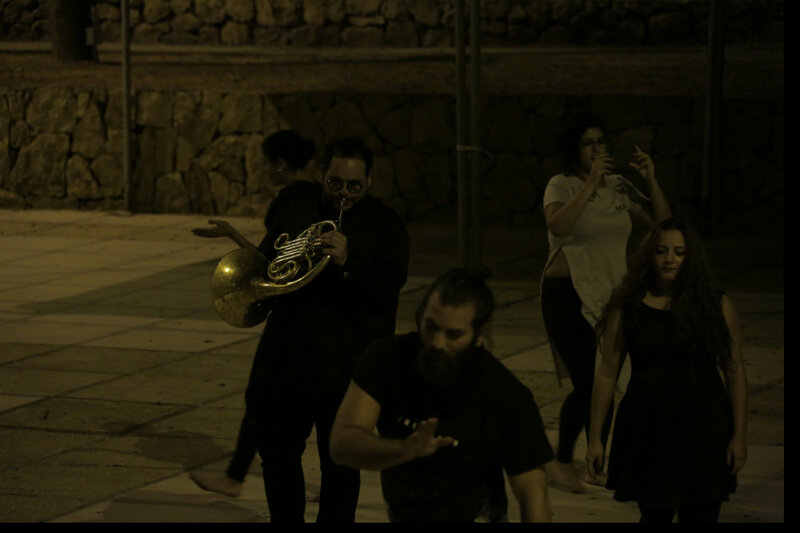 Its main members are renowned artists Ray Furuta, co-founder and flutist; Selim, who plays the French horn; Lebanese qanun player and composer Ghassan Sahhab; American banjo player and composer Taylor Ackley; American percussionist Mike List; and Iranian violinist Farzin Manshadi. 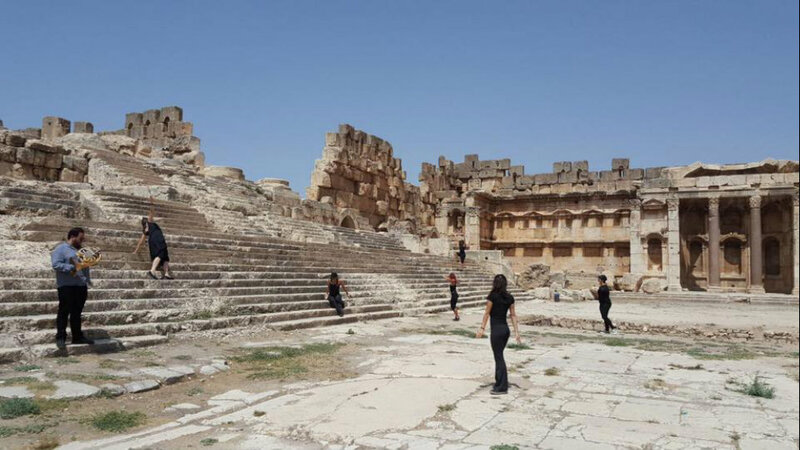 The touring group will have 15 members from Lebanon, Egypt, Iran, Iraq and the United States. 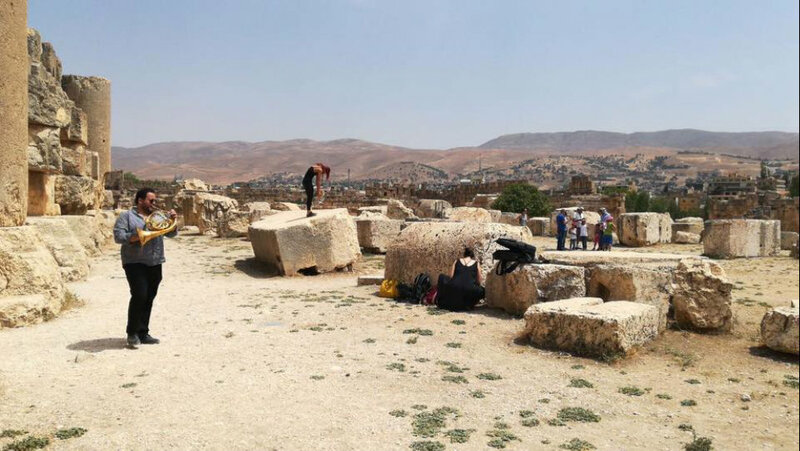 October 24, 2017New Article about Imagine Summer Arts Camp at CornucopiaThe Northeast Horn Magazine "Cornucopia" just publish an article written by founder and director of Imagine Summer Arts Camp at the Lebanese American University in Lebanon. 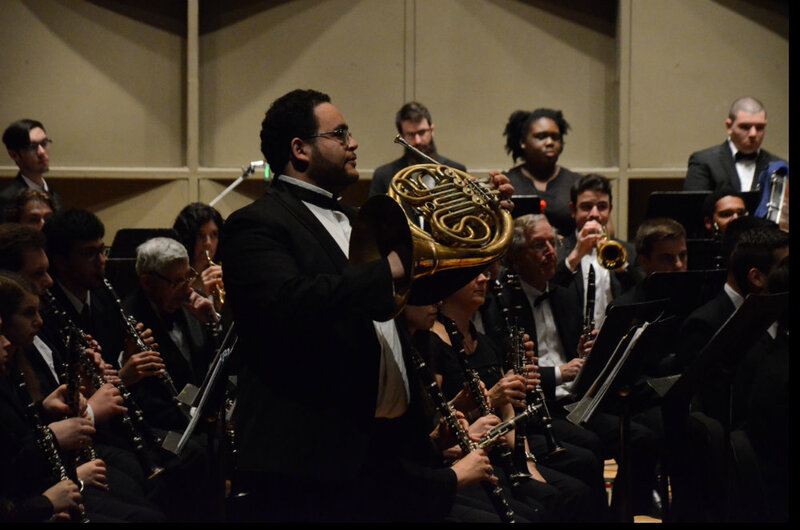 The article is titled "A note will not stop a bullet..."
October 9, 2017Stony Brook Music Department is celebrating its 50 anniversary.Amr was featured in SBU's main article on the celebration! Summer Arts Camp (ISAC), a two-week camp, aimed to introduce a new way of arts education to the young generation (grade 6 – 11); that combined fun and rigorous traditions to grow their love and appreciation to the arts. 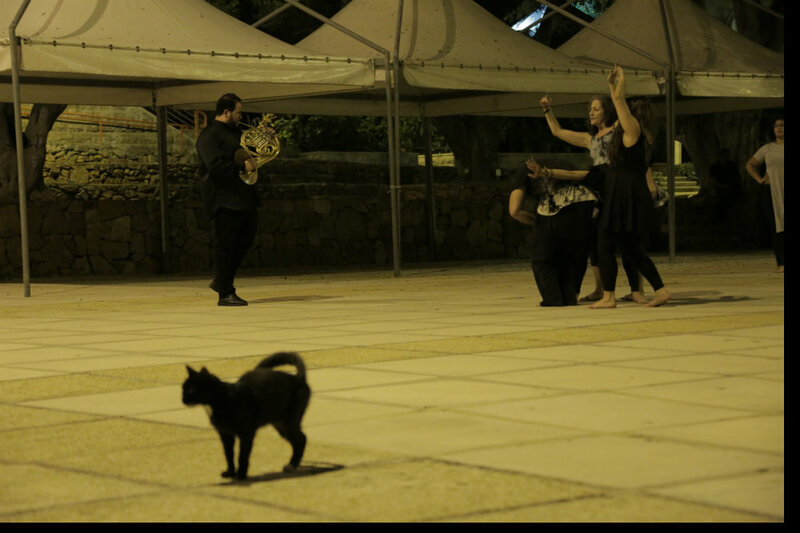 The faculty were composed of LAU Performing Arts faculty. Emphasis is placed on the creative process, hands-on learning and collaborative projects as campers work toward performances for their families to enjoy at the end of camp. 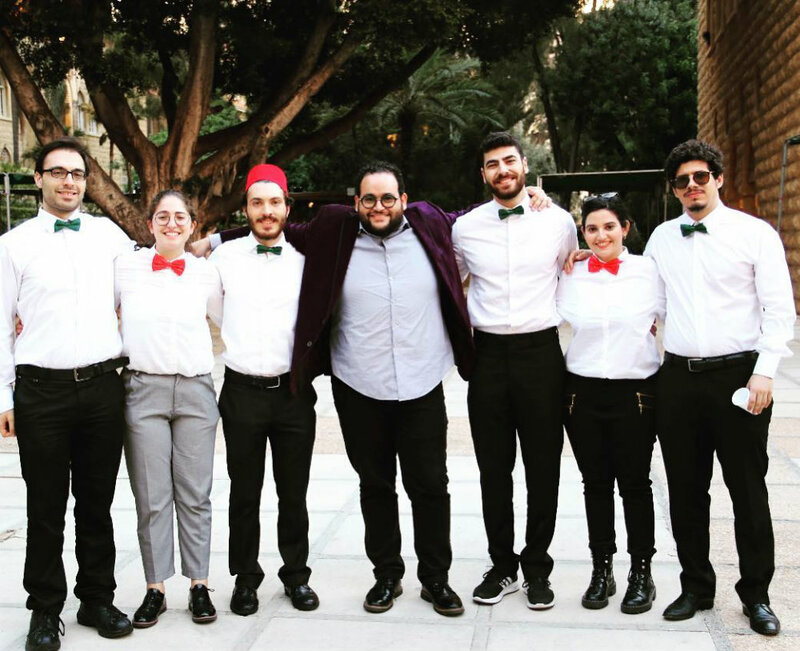 The camp offered five different scholarships for students interested in pursuing their undergrad studies in the Department of Communication Arts at LAU. 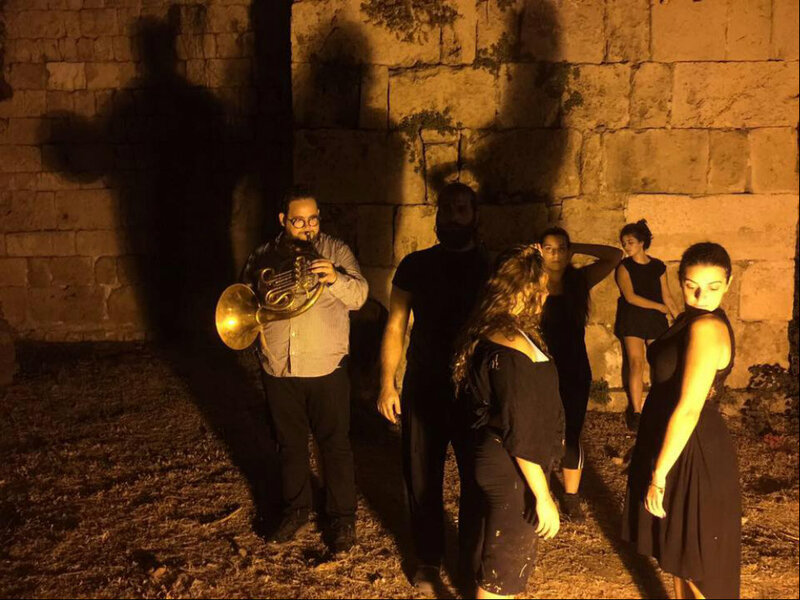 April 12, 2017Multidisciplinary, multigenre musical extravaganza receives standing ovationEncouraged by Assistant Professor of Music Amr Selim, LAU musicians take LAU by storm. 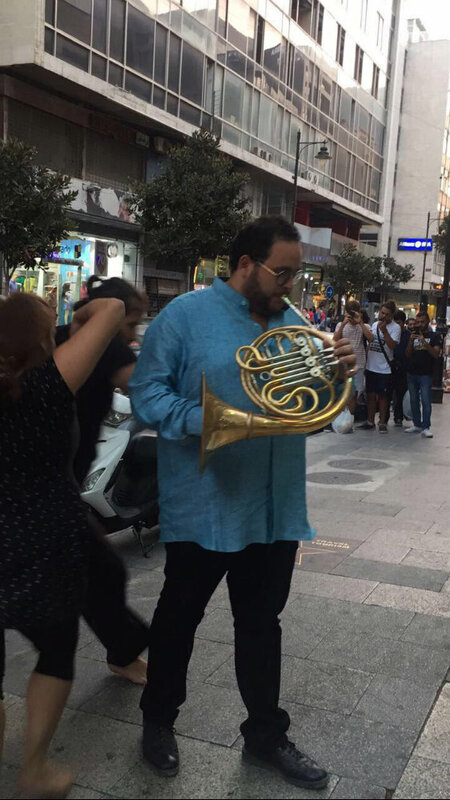 November 18, 2016The Rich Land of the NileAfter moving from Egypt to the United States, I realized that the majority of Western musicians have had little or no exposure to the Arab music style despite some Western string and wind instruments, with the exception of the horn, being used in the Arab music tradition. 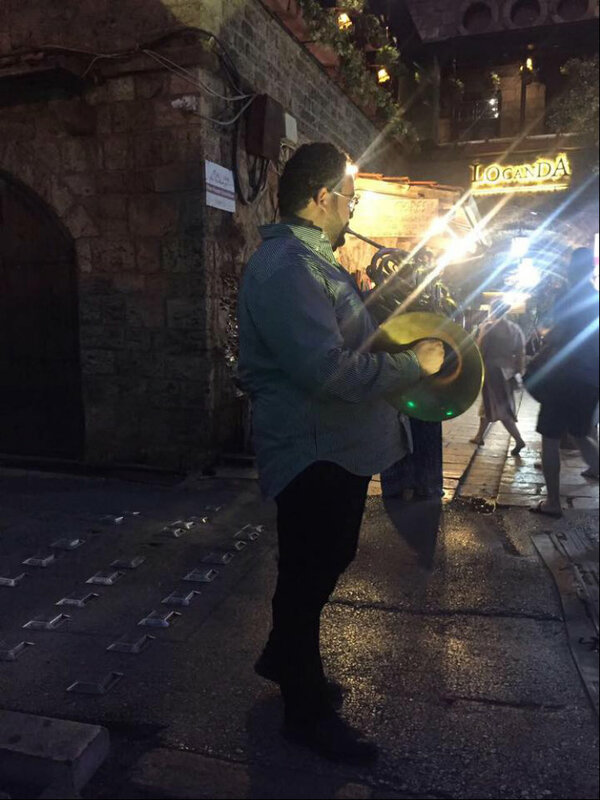 After researching several ways to interpret this style of music on the horn, I have created a Book of Etudes that presents techniques to practice the Arab vocal characteristics on the horn. 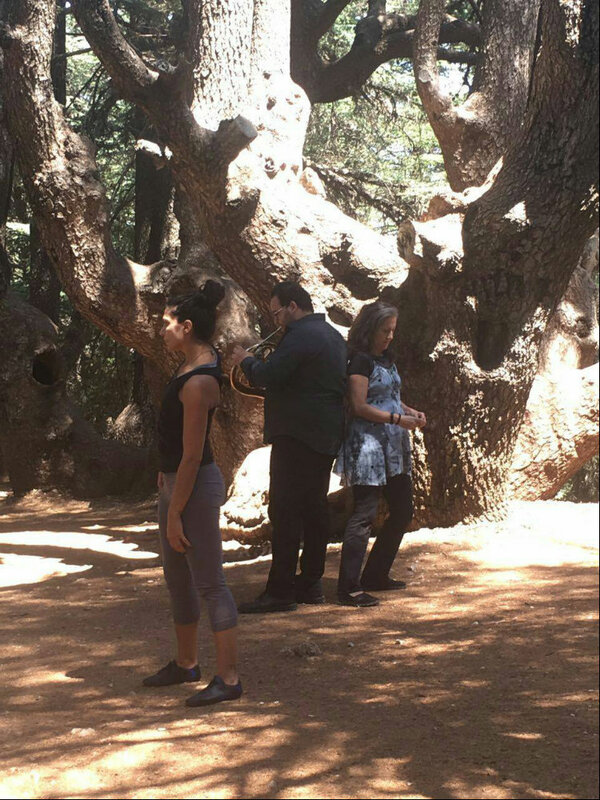 July 7, 2016Amr joins the faculty of the prestigious Lebanese American University of BeirutAs for fall 2016 Amr will join the faculty of LAU as a full-time Assistant Professor of Music. 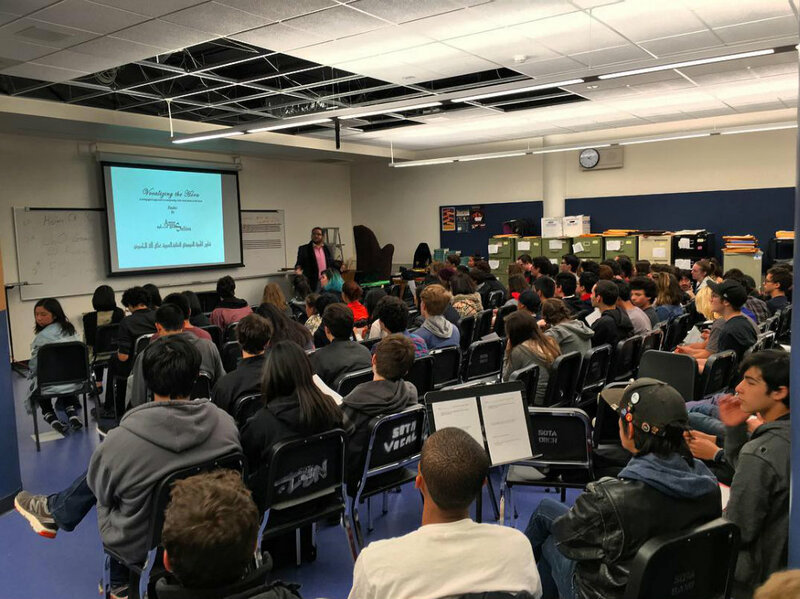 February 1, 2016New dates added in the Bay Area CAAmr will be in the Bay Area for a week in March, giving masterclasses and lectures at Mission College, Independance High School and a couple of outreach performances as well as a visit to San Francisco School of Arts. Check out the Events page for more details. January 1, 2016Masterclasses and Lectures in NYCAmr is Starting the New Year with a few masterclasses and lectures in the NYC area. 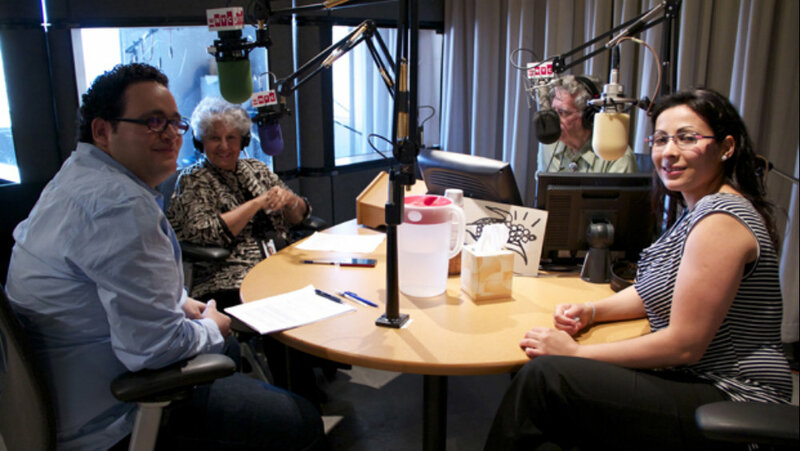 Including Manhattan School of Music and Aaron Copland School of Music - Queens College. Check out the Events page for more details. June 20, 2015On Tour in KoreaAmr is excited to be touring the the Republic of Korea between June 26th and July 16th, with the Award Winning The Gracias Choir. Will be visitng ten different cities, check the events page to see if they are coming near you! 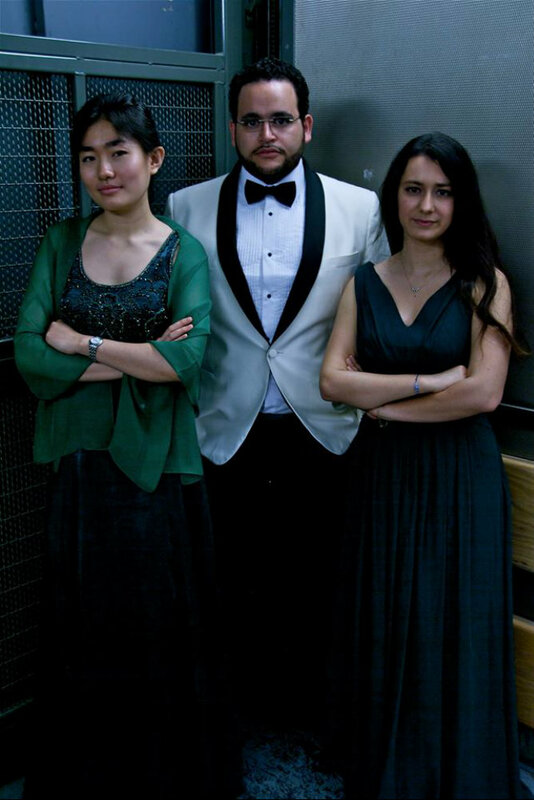 April 17, 2015ViaTrio wins The Ackerman Chamber Music CompetitionAmr's newest ensemble "ViaTrio" (Yanki Karatas, violin - Xin Ben Yu, piano) is named one of the Ackerman Chamber Music Competition Winners at Stony Brook University. 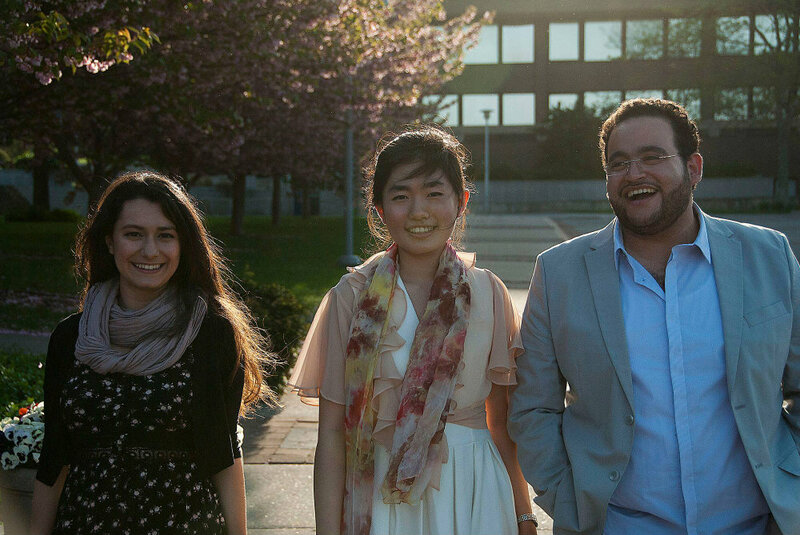 They will be featured during the Emerson String Quartet Festival at Staller Center for the Arts on May 9th at 8:00pm. More information on ViaTrio is coming soon. 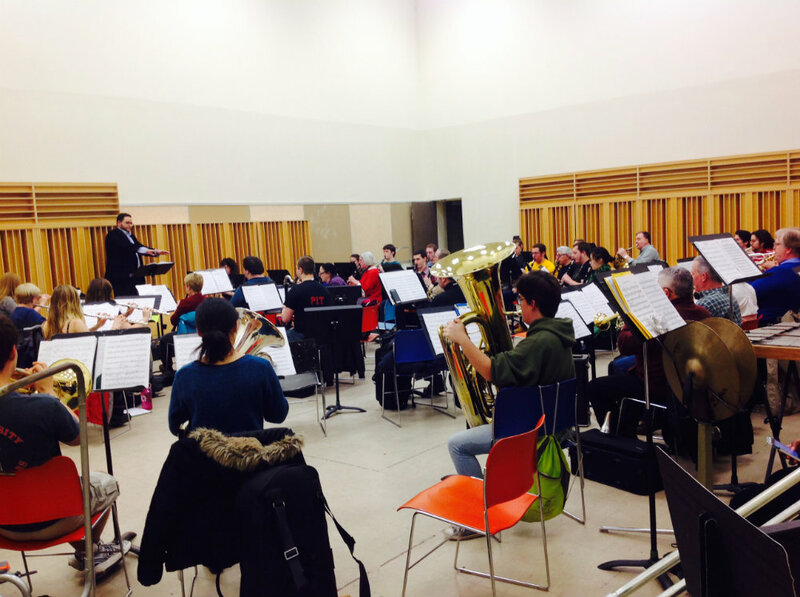 November 18, 2014New Music and Culture Symposium in AlbanyAmr is excited to represent Stony Brook University's Music Department at the New Music and Culture Symposium at the University of Albany between January 29-31, 2015. 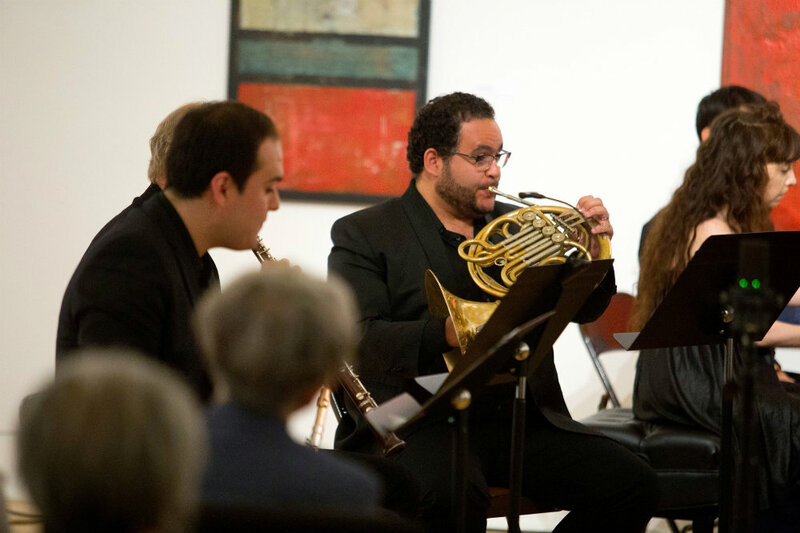 Organized by UAlbany faculty member Max Lifchitz, this SUNY-wide conference includes public concerts, lecture/recitals, panel discussions and master classes highlighting the artistic accomplishments of composers affiliated with the SUNY system. 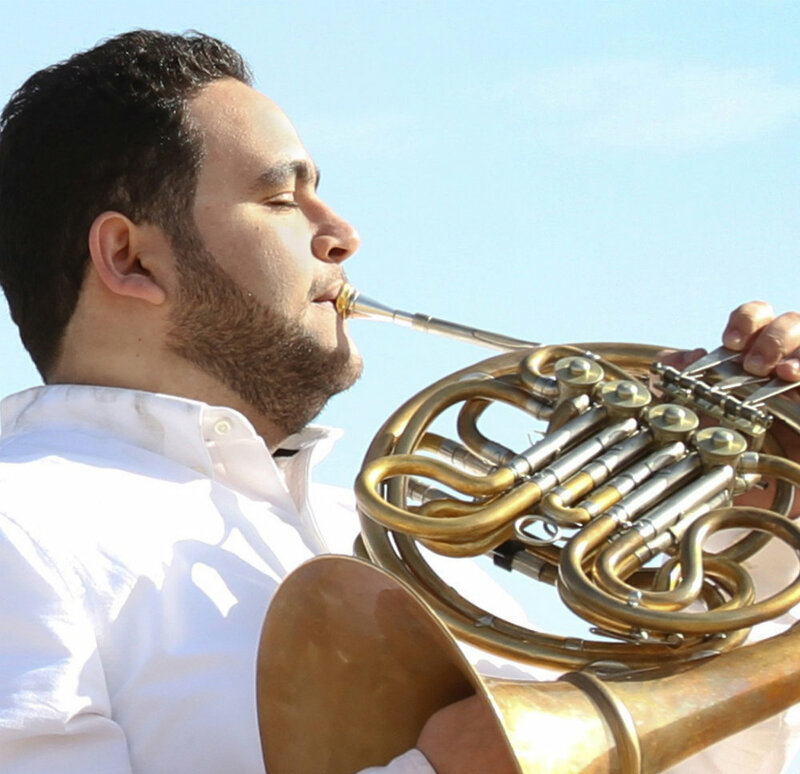 September 30, 2014Egyptian Horn Player to Perform Hindemith Horn Concerto with SB Symphony OrchestraStony Brook University DMA student and Egyptian horn player Amr Selim will perform the Hindemith Horn Concerto with the Stony Brook Symphony Orchestra under the direction of conductor Jeffrey Milarsky on Staller Center’s Main Stage Saturday, October 11, at 8 pm. The program also includes Strauss’ “Don Juan” and Bartok’s “Miraculous Mandarin.” Tickets are available at the Staller Center box office. 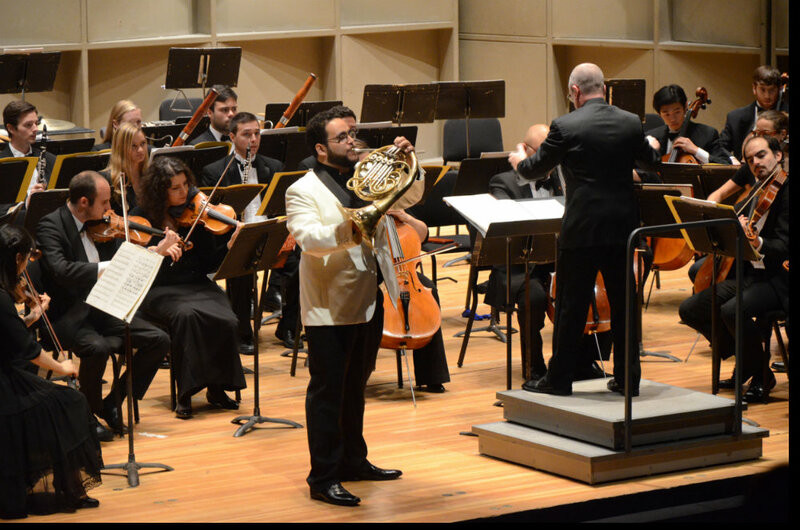 September 12, 2014FOR IMMEDIATE RELEASEFOR IMMEDIATE RELEASE - Amr's Solo performance of Hindemith's Horn Concerto with conductor Jeffrey Milarsky and Stony Brook Symphony Orchestra on October 11 at 8:00 P.M. Main Hall of Staller Center for the Arts at Stony Brook University. 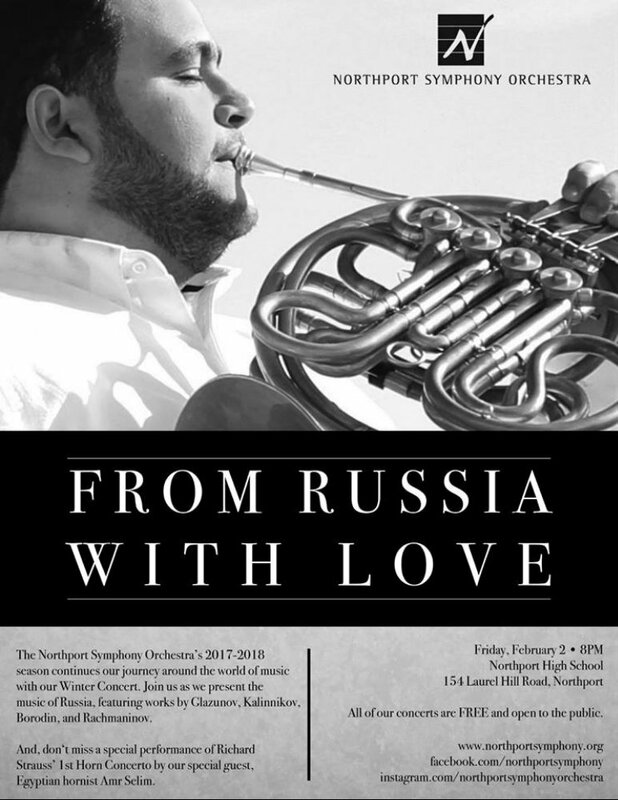 He will be coaching a Horn Trio (violin, horn and piano) Check the Events page for more information about the date and the time of the performance. 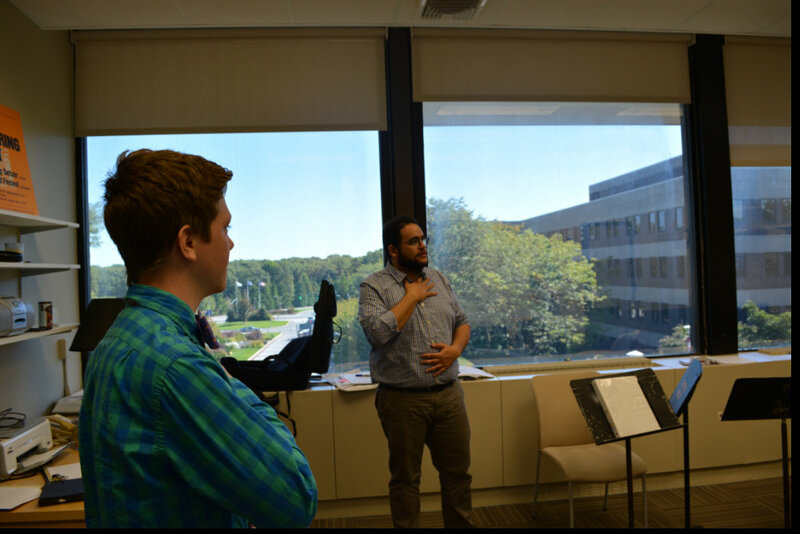 The Program at Stony Brook welcomes all amateur musicians interested in participating in chamber music ensembles. August 25, 2014Amr joins the Faculty at The Knox SchoolAmr is excited to announce that he will be joining the Faculty at The Knox School as the Director of the Chamber Ensemble. The Knox School was founded in 1904 and it is located in St. James New York. 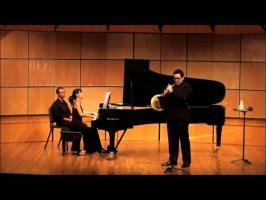 July 27, 2014World Premier of Peter Winkler's Elegy for Horn and Wind EnsembleAmr will give the world premier of Elegy for Horn and Wind Ensemble with Stony Brook Wind Ensemble and conductor Bruce Engel. Peter Winkler is a former professor of composition and head of the undergraduate department at Stony Brook University. 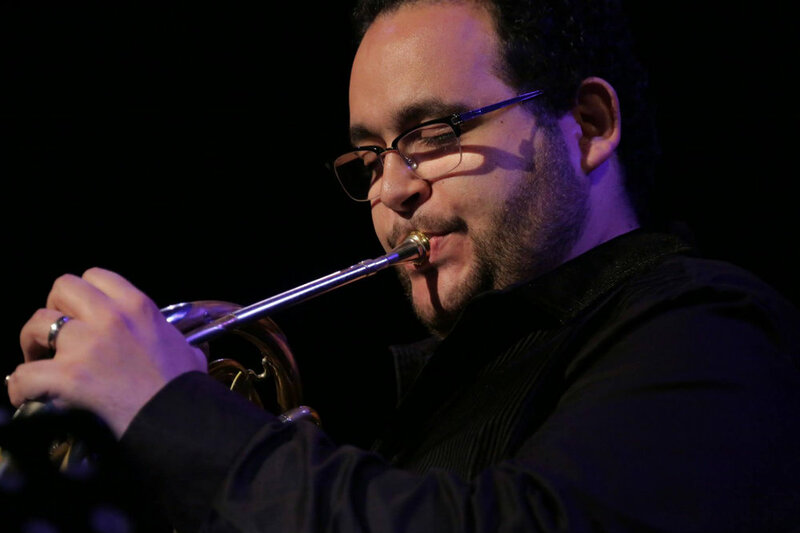 Elegy is dedicated to Amr Selim and Stony Brook Wind ensemble. 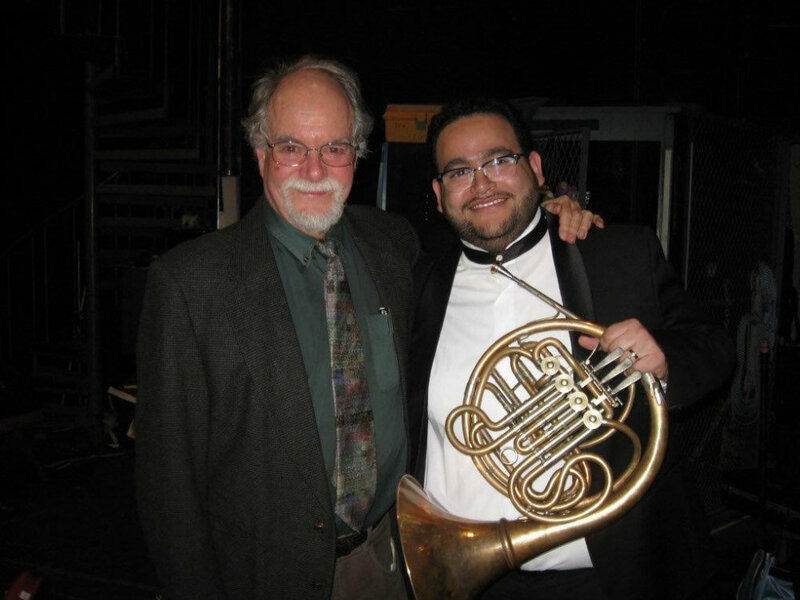 July 21, 2014Amr to continuo teaching at Adelphi University and Gracias Conservatory at MahanaimAmr is excited to announce that he will continuo his teaching activities as the Horn professor at Adelphi University and Gracias Conservatory. 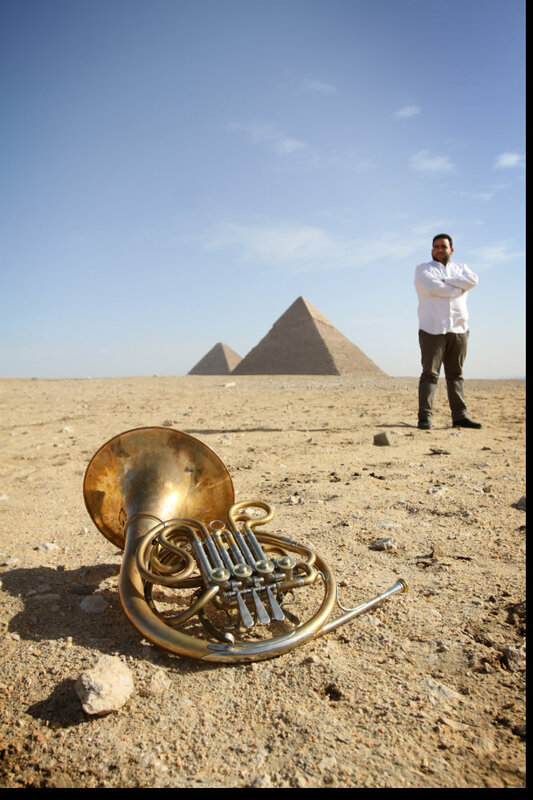 March 6, 2014Egyptian musicians to perform in BellportThe Grace Notes Concert Series at the Bellport United Methodist Church, 185 South Country Road, will present a most interesting program on Sunday, March 9 at 3 p.m.
Europe, South Korea, and across the Middle East and United States. many nursing homes, retirement communities and hospitals. includes topics on Music and Qur’an and the religious music of Egypt. 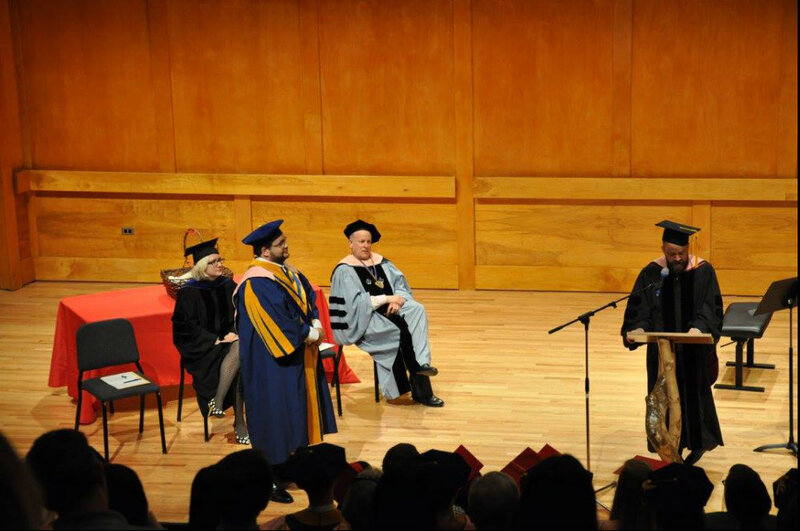 Master’s of Music and Doctorate of Music Arts degree from Stony Brook University. 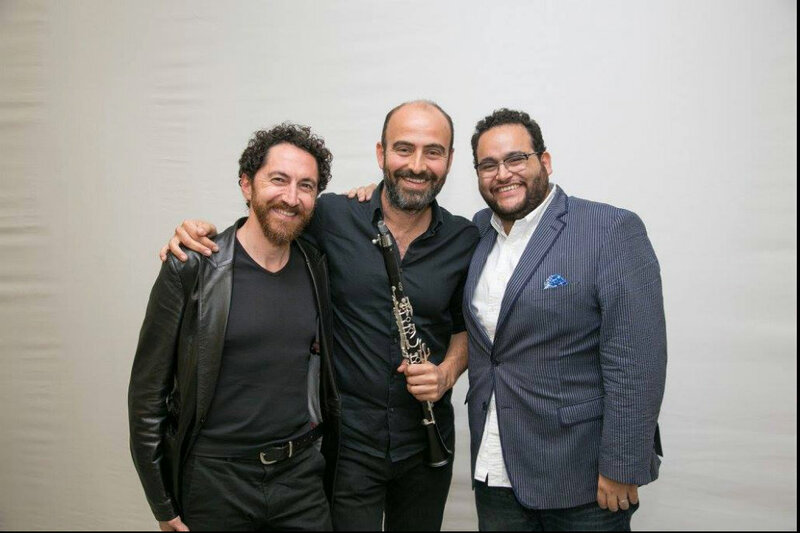 Like a braid [gadayel]: flexible, intimate, creative, and simple yet complex and strong, Gadayel’s core members are Egyptian artists pianist Seba Ali and hornist Amr Selim. 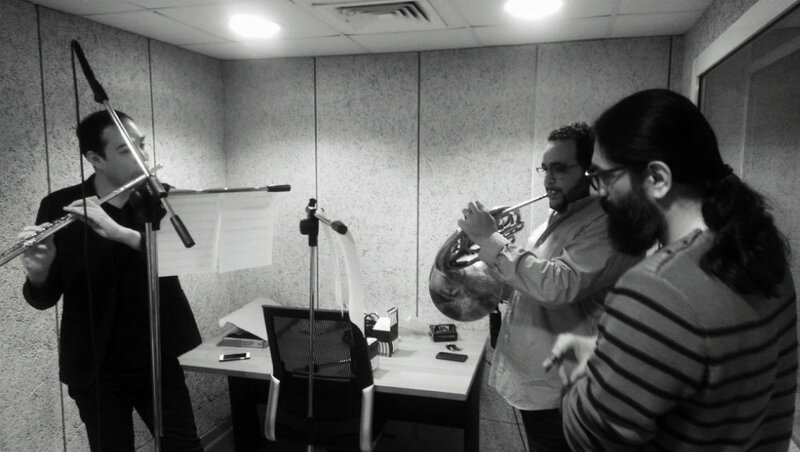 Classically trained musicians Seba and Amr were raised in musical families. Growing up, their musical experience was diverse; hearing Oud, Um Kalthum and folk Egyptian Poems in one room and Bach Cello Suites in the other. 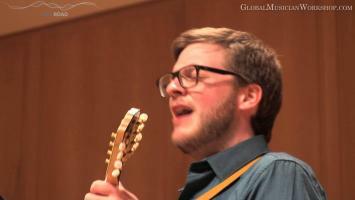 They strive to bring folk music from all cultures, streamlining it to all people around the globe. Music that ranges from deep in the South of Egypt to Tibet. They believe it is rather special and effective to perform this music on usual Western instruments. 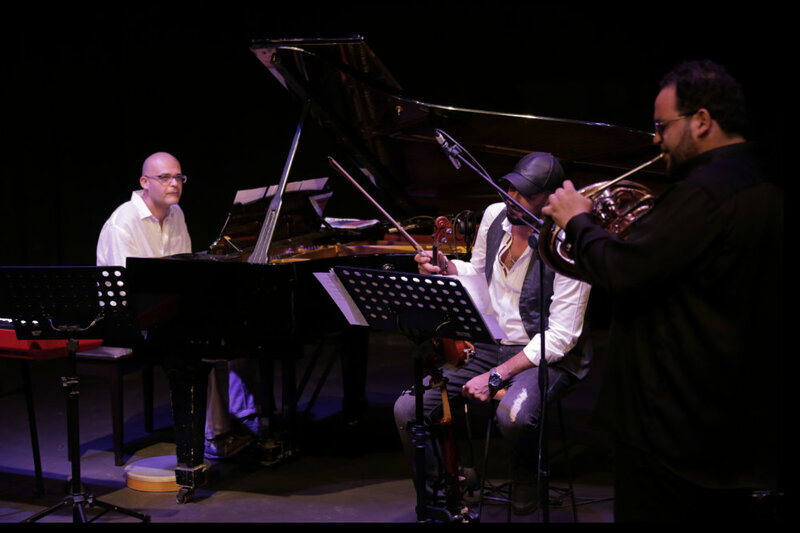 Vocalizing the Horn, utilizing the piano, Gadayel exceeds the expectations of their instruments to make adapting any folk music possible. They create this aura, sometimes by writing their own music. In addition to evoking and extoling the standard literature, Gadayel feels very strongly about commissioning composers to write new works. Gadayel is always looking for collaborations with new artists and interdisciplinary projects. 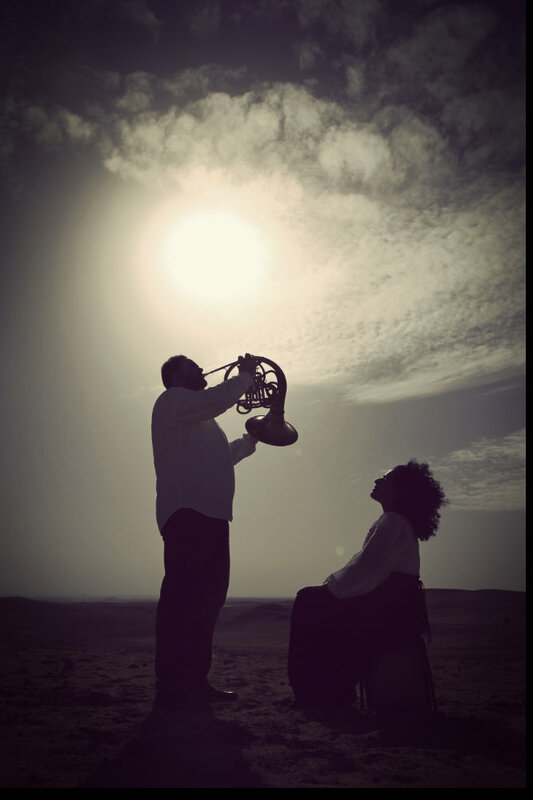 Gadayel is a vigorous ensemble that wishes to revamp the horn and piano duo genre; which has long been missed from the chamber music scene. With each component strand functionally equivalent in zigzagging through the overlapping mass of the others; their music will get you to see, feel and smell places you have not experienced. Quintessentially, music has one heart. A heart that accepts all. Gadayel genuinely aims for that music. Gadayel is a love relationship between music and places. A life-long one; just like its members’ marriage. 2019-07-29 - 2019-08-11YES Academy LebanonThe Holy Spirit University of KaslikJounieh, LebanonThe mission of the YES Academy program is to bring highest quality professional training and opportunities from the US to youth and young adults in nations or regions emerging from conflict and isolation or lacking opportunities for cultural exchange and dialogue with the United States. 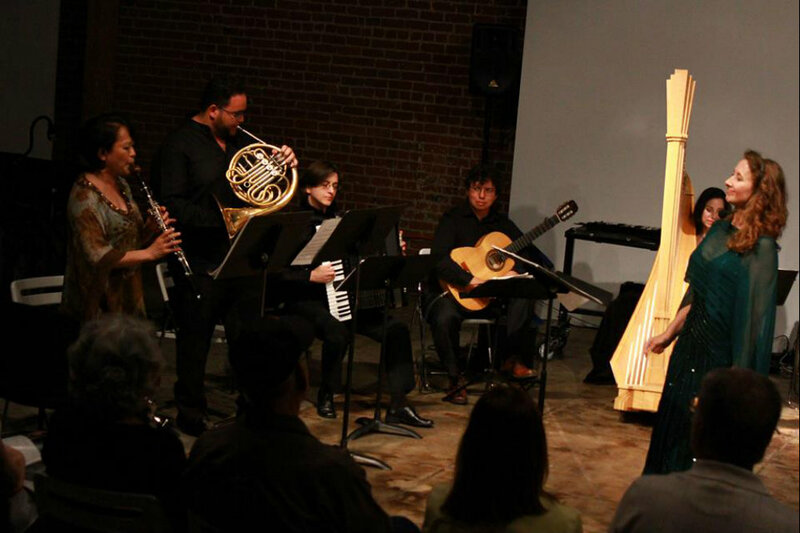 2019-04-13Common Sounds at San Jose Museum of ArtSan Jose Museum of Art Common Sounds returns to San Jose Museum of Art, hosted by Chamber Music Silicon Valley. 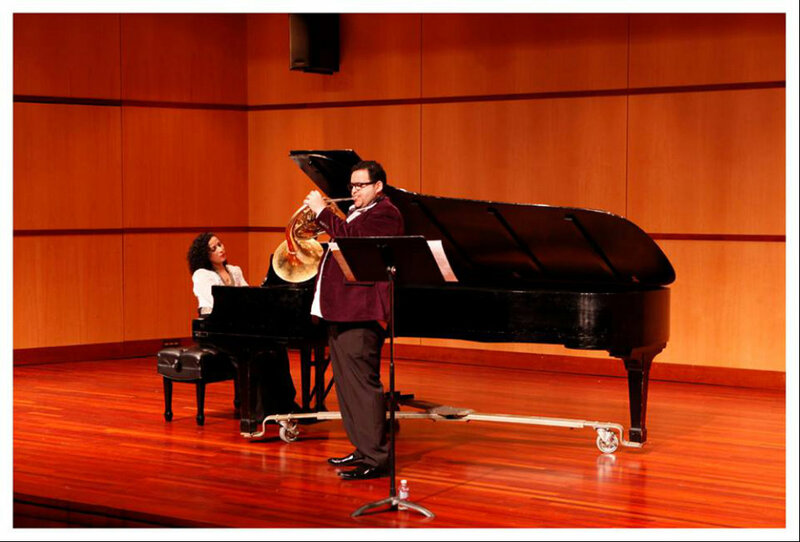 2019-04-10Common Sounds - Music @ NoonSanta Clara University Music and Dance Facility - Recital HallSanta Clara, CACommon Sounds hosted by Music at Noon Series at Santa Clara University's Music Department. Music by: Das, Selim, Zhao, Sakamoto and more. 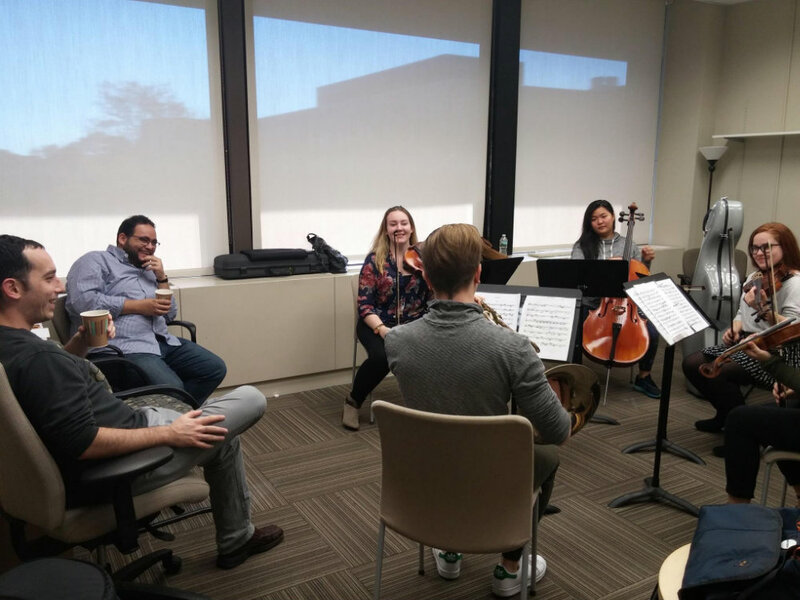 2019-04-09Lecture: Music in IslamSanta Clara University Music and Dance Facility - Recital HallSanta Clara, CAA lecture as part of the Global Listening Seminar at Santa Clara University's Music Department. The lecture will discuss the relationship between music and religious singing and Qur'an Reciting in Islam. 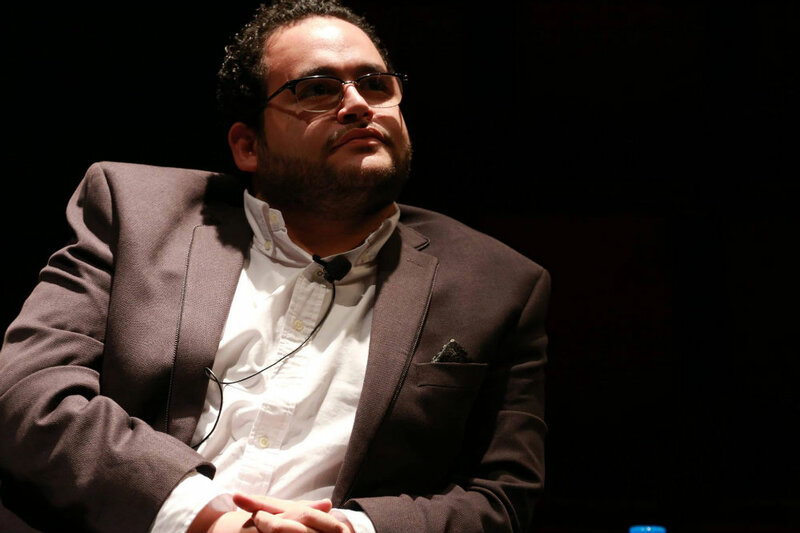 2018-09-17Ta' SakenaGulbenkian TheatreBeirut, LebanonPanel Discussion with the creators of Ta' Sakena in collaboration with the Institute for Women's Studies in the Arab World and the Department of Communication Arts at the Lebanese American University. 2018-06-24MUSIC, BELIEF, AND CONFLICT San Jose Museum of ArtSan Jose, CaliforniaA public forum by Common Sounds members discussing the role of music in peacemaking and peacekeeping as well as the relationship between music, belief, and conflict in our current time. 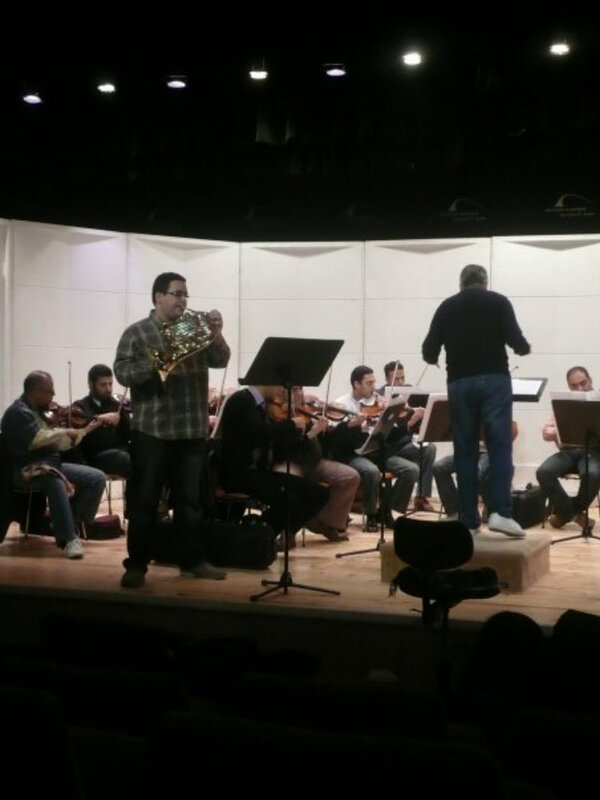 Saturday, February 17, 2018A performance for individuals with AutismSafadi Fine Arts AreaBeirut, LebanonIMAGINE is poud to present its annual autism-friendly, interactive concert. 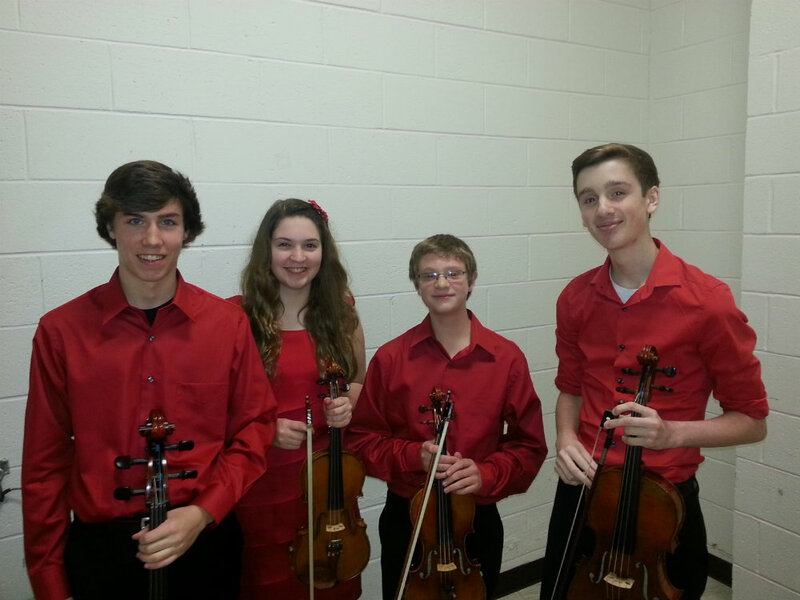 Featuring Apple Hill String Quartet. 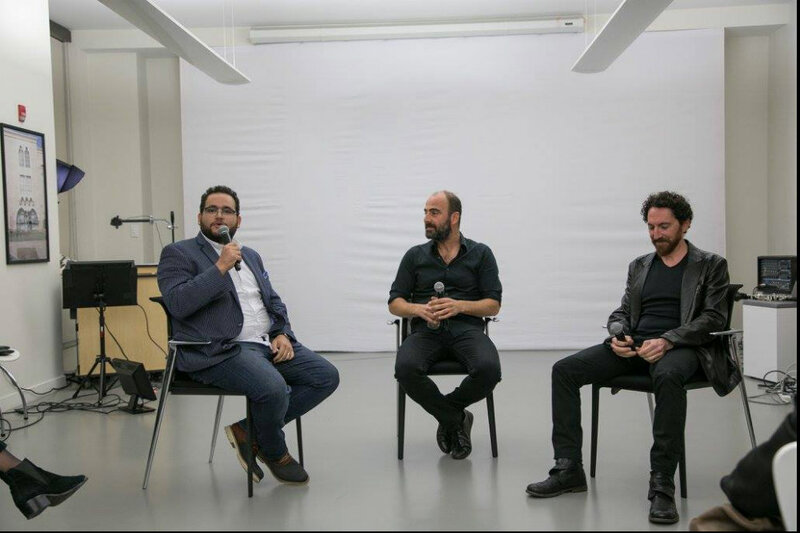 Thursday, February 15, 2018Music and PeacemakingGulbenkian TheatreBeirut - LebanonA panel discussion with Apple Hill String Quartet, Kinan Azmeh, Dr. Imad Salamey and Dr. Amr Selim. Tuesday, January 23, 2018Music and Islam in EgyptSanta CLara UniversityA lecture on Music in Egypt and the Music in Islam. Sunday, January 21, 2018Academia Job Application - WorkshopSanta Clara UniversitySanta Clara, CA 95053A workshop on the what and how to prepar for and apply to professorship positions. 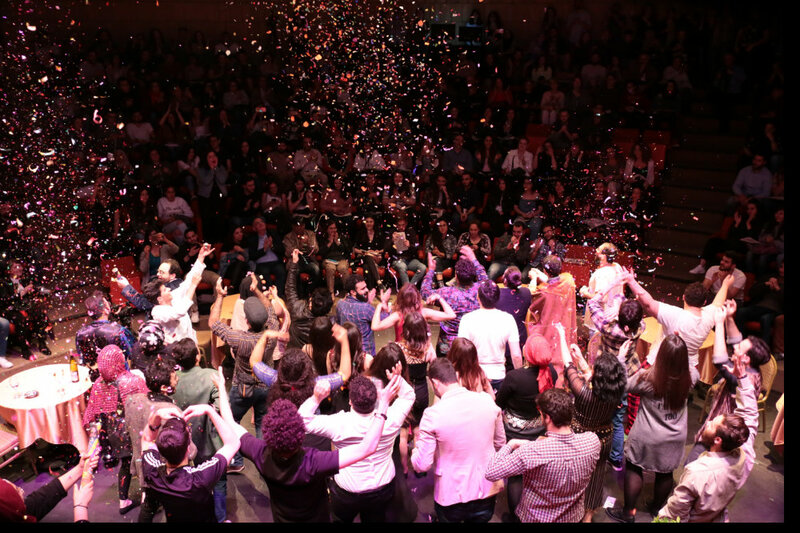 August 26th - 30thFestival NEXTLebanese American UniversityBeirut, LebanonA five-day performing arts festival. Sunday, June 11, 2017LUDWIG 67Fess Parker Theater @ Santa Clara UniversitySanta Clara, CASVMF 2017 finale features two masterpieces of Ludwig van Beethoven. 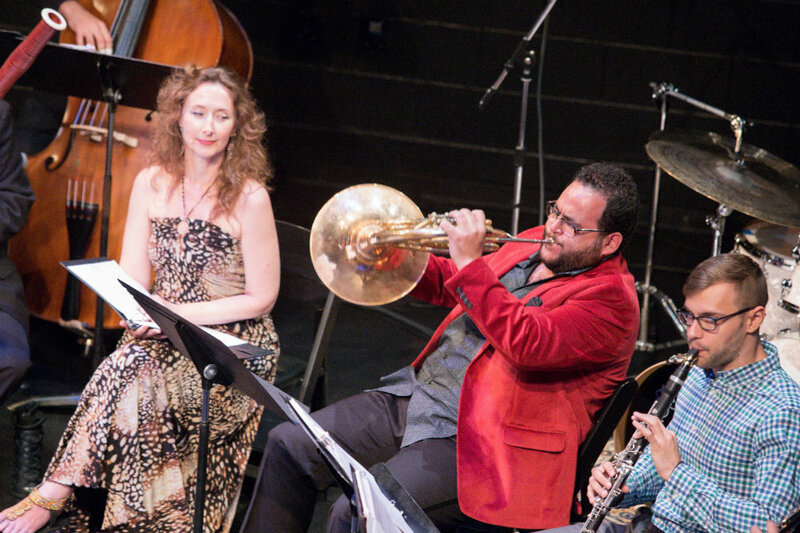 Saturday, June 10, 2017A HUG FOR GONZALOFess Parker Theater @ Santa Clara UniversitySanta Clara, CASVMF 2017 presents the Bay Area premiere of Jeffrey Scott's monumental, Jazz-Classical Fusion: PASSION FOR BACH AND COLTRANE. Friday, June 9, 2017TECHNO PARADEFess Parker Theater @ Santa Clara UniversitySanta Clara, CASVMF 2017's TECHNO PARADE breaks the mold and soundscape while showcasing exciting new music. SCHOENFIELD: Trio for Clarinet, Violin and Piano. 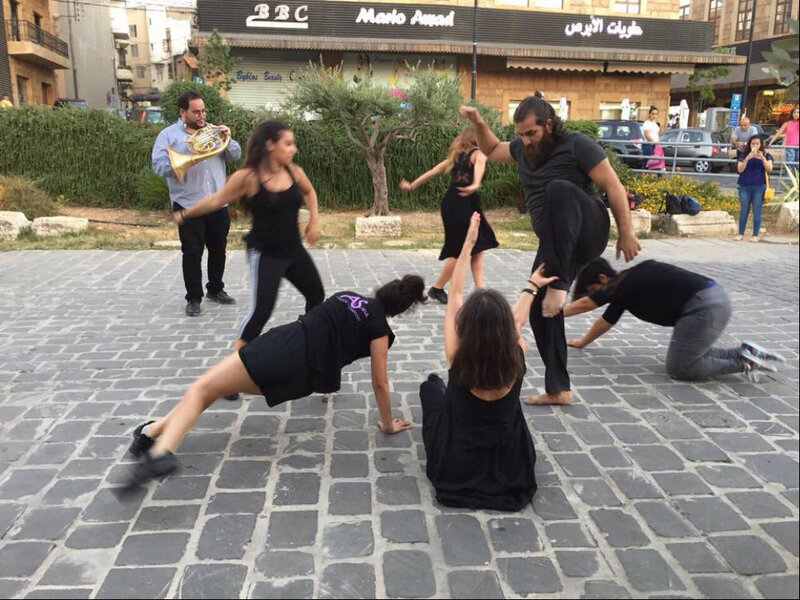 Wednesday, April 12, 2017Alternative FactsGulbenkian Theatre - LAU BeirutBeirut, LebanonThe role media plays to express, influence and consequently mold the public perception about various issues is unprecedented. There are grave consequences for both the media and the youth in a society increasingly controlled and managed through the news channels. Today, everyone is spending more time in watching TV news channels. The programs on the news channels influence our decision process and shape our perceptions of the world. And It is impossible to escape the pervading impact of these news channels. Alternative Facts is a performance to shed some light on the other side of any story. Together, we will experience the difference between a piece of news and facts. The report tells us that more Syrian refugees than not are part of some terrorist groups, the truth is not quite that. 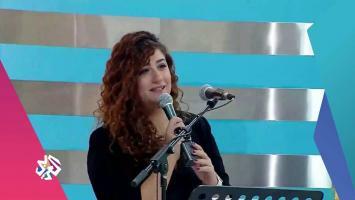 Monday, April 10, 2017Alternative FactsSelina Korban - LAU ByblosJbeil, LebanonThe role media plays to express, influence and consequently mold the public perception about various issues is unprecedented. There are grave consequences for both the media and the youth in a society increasingly controlled and managed through the news channels. Today, everyone is spending more time in watching TV news channels. The programs on the news channels influence our decision process and shape our perceptions of the world. And It is impossible to escape the pervading impact of these news channels. 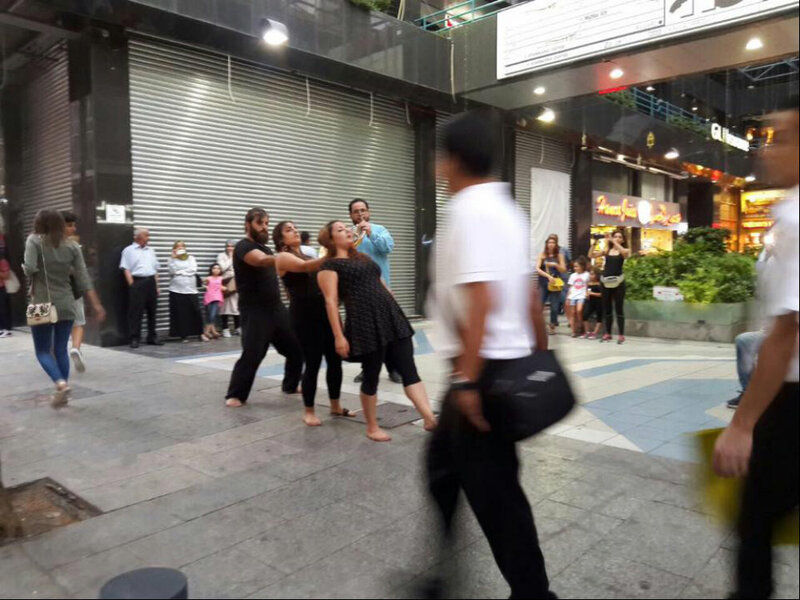 Alternative Facts is a performance to shed some light on the other side of any story. Together, we will experience the difference between a piece of news and facts. The report tells us that more Syrian refugees than not are part of some terrorist groups, the truth is not quite that. Sunday, November 6, 2016OpusNow @ Long Island MusuemLong Island MusuemStony Brook, NYRavel String Quartet (for woodwind quintet), Paquito D'rivera's Aires Tropicales and more. 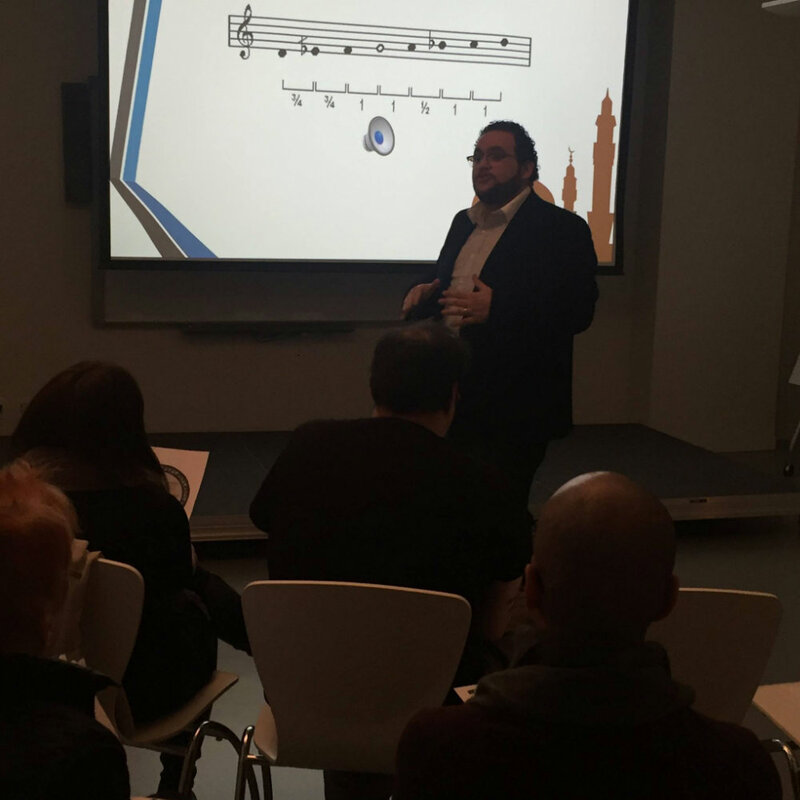 Thursday, November 3, 2016Masterclass at Manhattan School of MusicManhattan School of MusicNew York, New YorkAmr is returning to MSM for another masterclass. Tuesday, November 1, 2016Masterclass @ Aaron Copland School of MusicQueens CollegeNew YorkAmr is returning to Aaron Copland School of Music for another Masterclass. Saturday, June 25, 2016FINALE: FATHER BEETHOVENTriton Meseum of ArtsSanta Clara, CA 95050One of the most crucial figures in classical music, Ludwig van Beethoven made his mark and left an incredible legacy, influencing some of the greatest composers to succeed him. Thursday, June 23, 2016THE IMPRESSIONIST IMPRESSIONTriton Museum of ArtsSanta Clara, CA 95050A stroll through impressionist France takes us on a transcending journey to the Far East and New York City 1924, while we explore the impact which the founding impressionists had on the composers of the future. Wednesday, June 1, 2016MasterclassBellport High SchoolGadayel Dou performs and gives a masterclass to the students of Bellport High School on Long Island, New York. 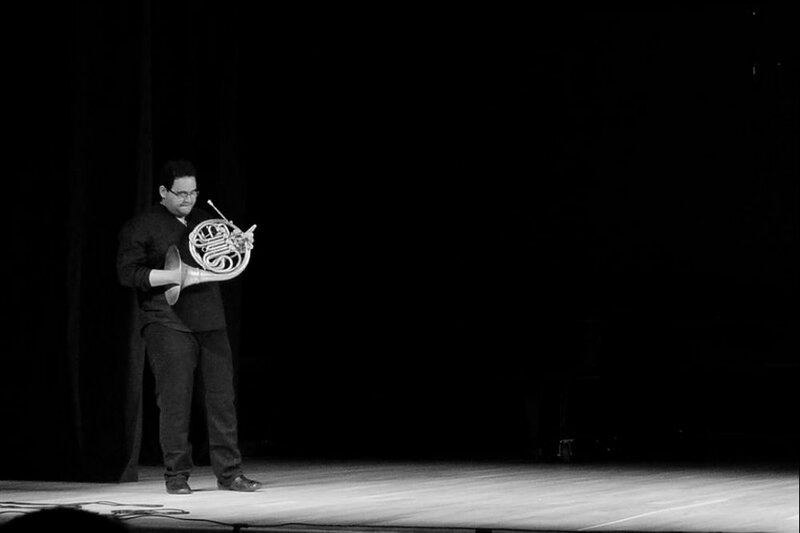 Thursday, May 5, 2016Sonic Eclipse - Solo HornRecital Hall - Staller Center for the ArtsStony Brook, NYMathias Pintscher: Sonic Eclipse II for solo horn and ensemble. Join us for a night of Music and Science; original compositions inspired by astronomy will be played live in the JetBlue Sky Theater Planetarium. 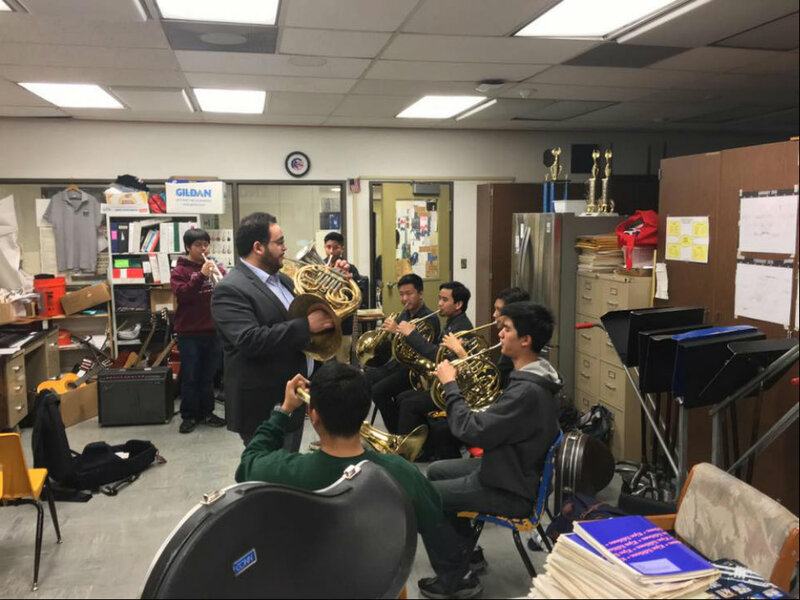 Thursday, March 17, 2016MastercalssIndependence High SchoolSan Jose, CA 95133The visit includes a Mini-Recital with Seba Ali (pianist - Gadayel Duo), Horn Masterclass and working with the brass section of the Concert Band. Wednesday, March 16, 2016Outreach @ Juvenile CenterSanta Cruz County JuvenileFelton, CA 95018Works for Solo Horn. 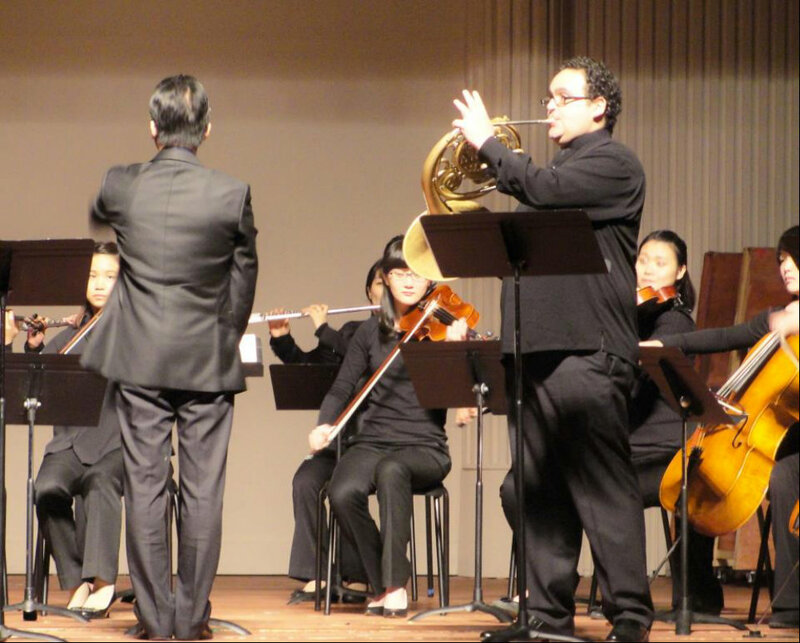 Wednesday, March 16, 2016Masterclass @ ASAWA SOTARuth Asawa San Francisco School Of The ArtsSan Francisco, CA 94131Artist in residence at ASAWA SOTA - Amr will be giving a Lecture on World Music, Horn Masterclass and will be working with the Wind Ensemble. Tuesday, March 15, 2016Music in Islam - LectureMission CollegeSanta Clara, CA 95054A lecture that includes an introduction on the elements of the Middle Eastern Music, will also talk about Sufism and many types the religious singing in islam. Another focus will be on the relationship I found between the Qur'an reciter's choice of a maqam and the text of Qur'an. The third main point is Phrasing in Qur'an Reciting, with a recorded example and a notation of some recordings. Sunday, March 13, 2016Roots EnsembleHome Art Gallery and CafePort Jefferson, NYTradition Americal Folk Music on horn, cello and banjo with members of the Roots Ensemble. 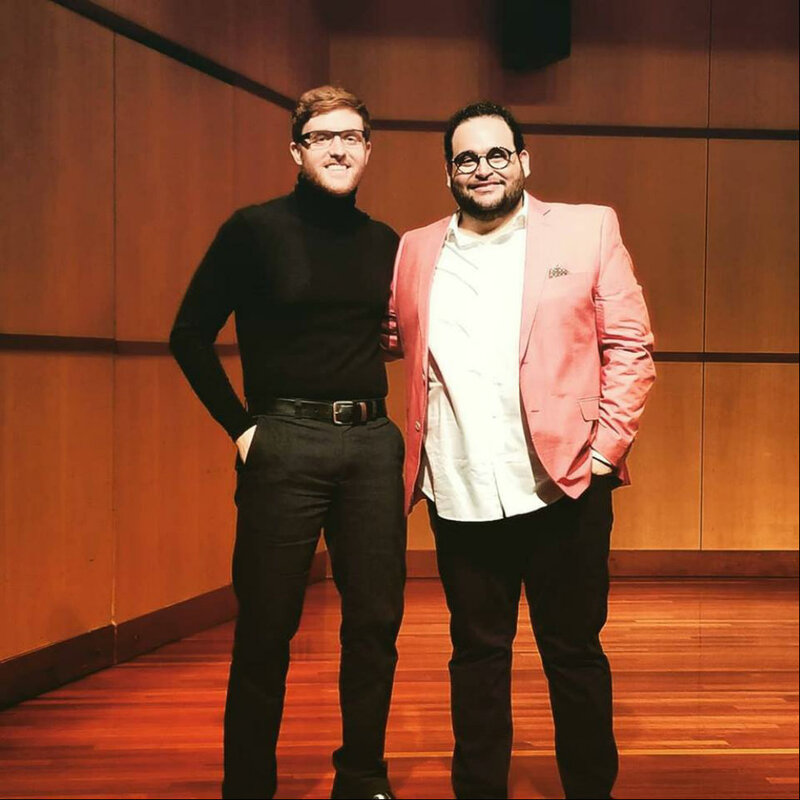 Saturday, March 5, 2016Masterclass on Arabic MusicStaller Center for the Arts - Recital HallStony Brook , NYStony Brook Pre-College Faculty: Amr Selim, Fadi Deeb and Taylor Ackley presents a lecture/performance on Arabic Music. 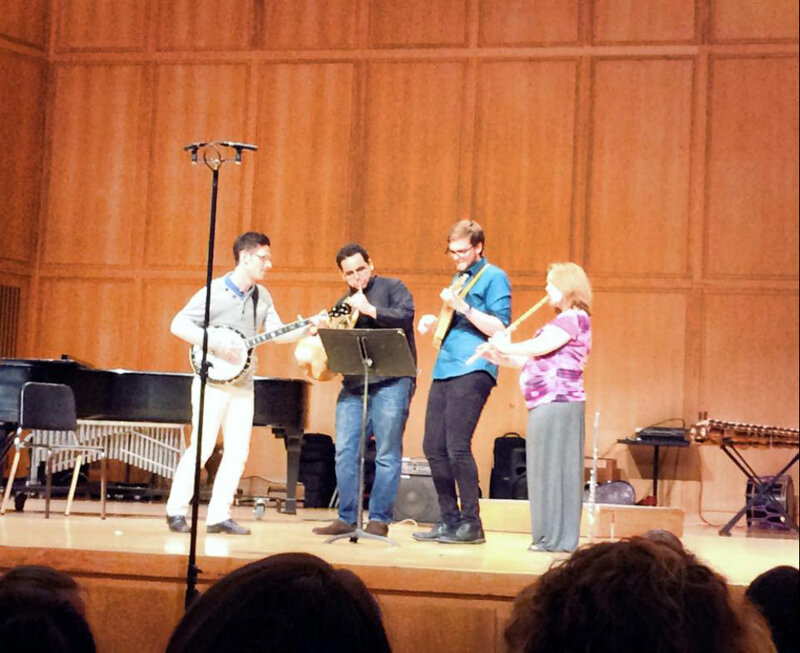 Wednesday, February 24, 2016Cello, Horn and BanjoStaller Center for the Arts - Recital HallStony Brook, NYA premier performance of a unique group of instruments playing some American folk tunes. : "If I could hear my mother pray again", "Church in the Wildwood" and "Old Country Church"
Saturday, January 30, 2016Adelphi Faculty Horn TrioWestermann Stage, Concert HallGarden City, New YorkWorks by R.Schumann, Clara Schumann and Brahms. 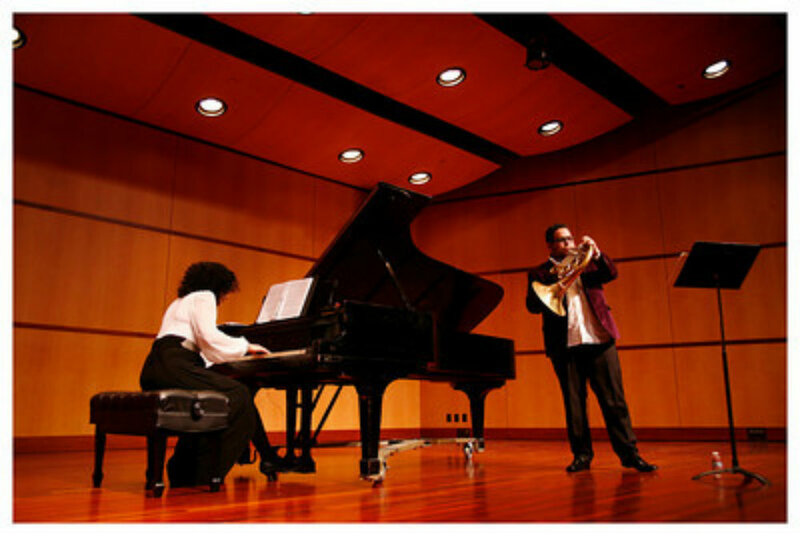 Saturday, December 12, 2015Stony Brook Pre-College DivisionRecital Hall - Staller Center for the ArtsStony Brook, New YorkThe students of Amr will be peforming Mozart Horn Quintet and Ewazen's trio for Trumpet, Violin and Piano. 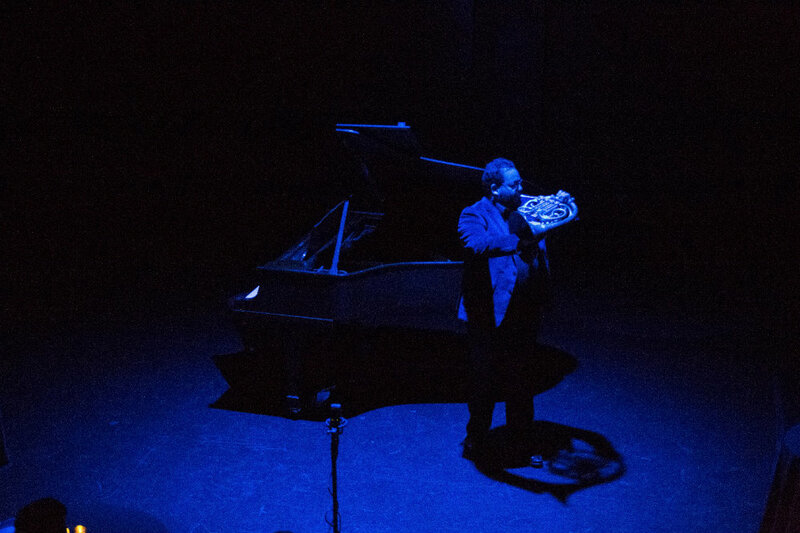 Thursday, December 10, 2015Sonic EclipseStaller Center for the Arts - Recital HallStony Brook, NYMathias Pintscher: Sonic Eclipse for solo horn, solo trumpet and ensemble. Friday, November 13, 2015Performing Arts Department RecitalKnox SchoolSt James, New YorkSelection of African and Rock music performed by the students of Knox's Performing Arts Department. 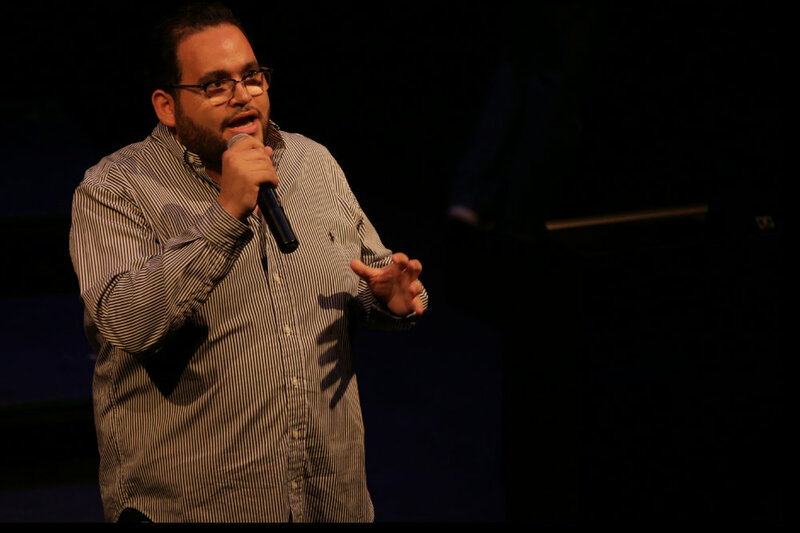 Thursday, October 29, 2015Word From BirdsRecital Hall - Staller Center for the ArtsStony Brook, NYJazz legend Teddy Charles's magnum opus Word From Birds. The parts have been lost for decades and this will be the first time it has been performed in ages. The works is for trumpet, trombone, french horn, tuba, alto sax, tenor sax, bari sax, piano, bass, drums, guitar and vibes. Musician include the jazz icon Ray Anderson on trombone. 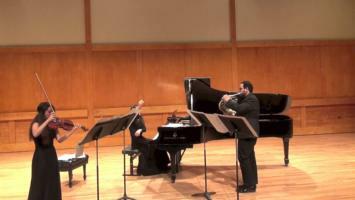 Sunday, May 17, 2015Stony Brook Community Chamber Music Workshop RecitalStaller Center for the ArtsStony Brook, NYEric Ewazen Trio for Flute, Horn and Piano. 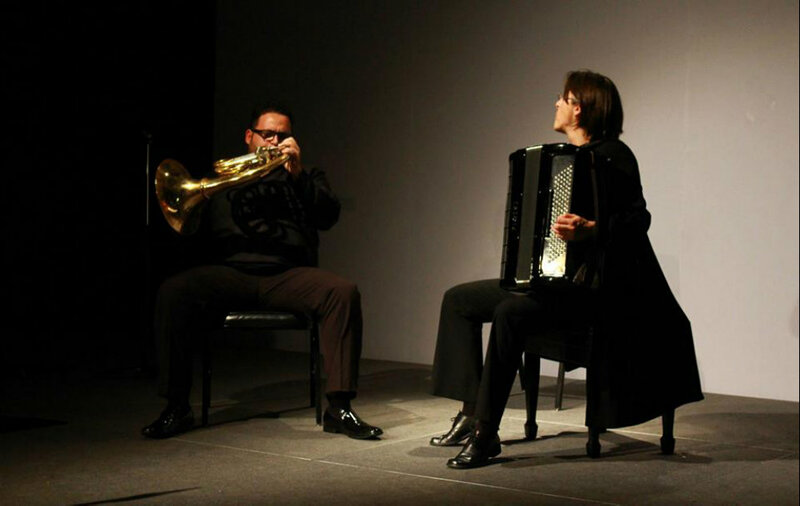 Sunday, April 26, 2015Music and Autism - ViaTrioStaller Center for the Arts - Music BiuldingStony Brook, NYA first of its kind on Stony Brook Campus! Stony Brook' Music and Psychology departments in collaboration with dedicated parents of wonderful kids with Autism are setting up a concert series for kids with Autism. 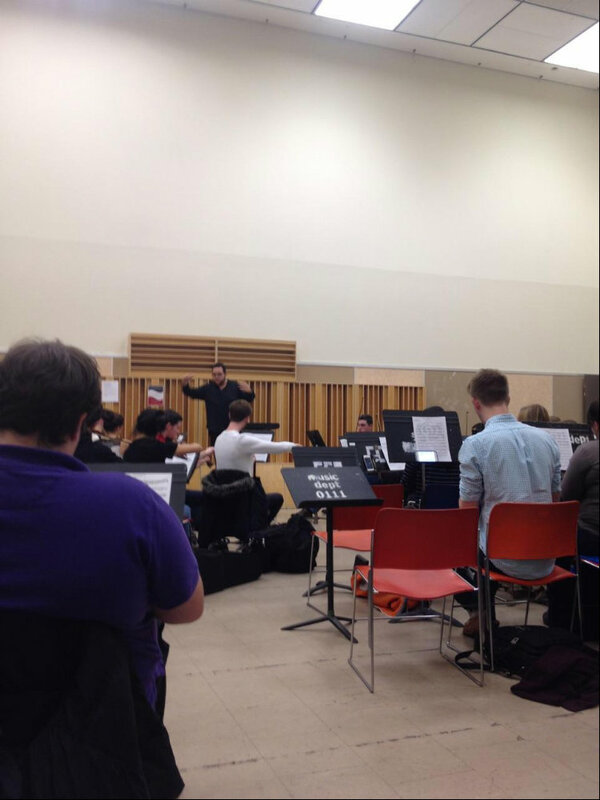 Wednesday, April 15, 2015World Premiere of Winkler's Elegy for Horn & Wind EnsembleMain Hall, Staller Center for the ArtsStony Brook, NY“New York Extravaganza” - Bruce Engel leads the Wind Ensemble in a concert featuring the music of Michael Valenti, Dvorak, Sousa, Copland, and Leonard Bernstein. 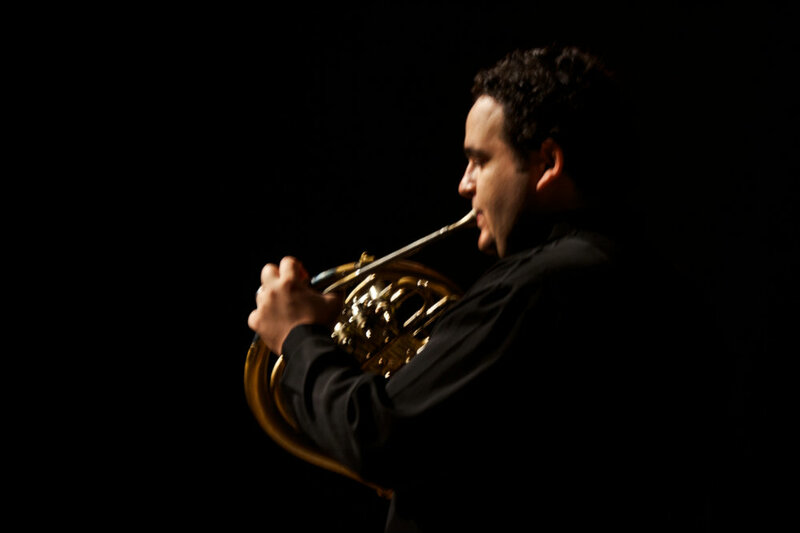 Featuring the world premiere of Peter Winkler’s Elegy with Amr Selim, horn. 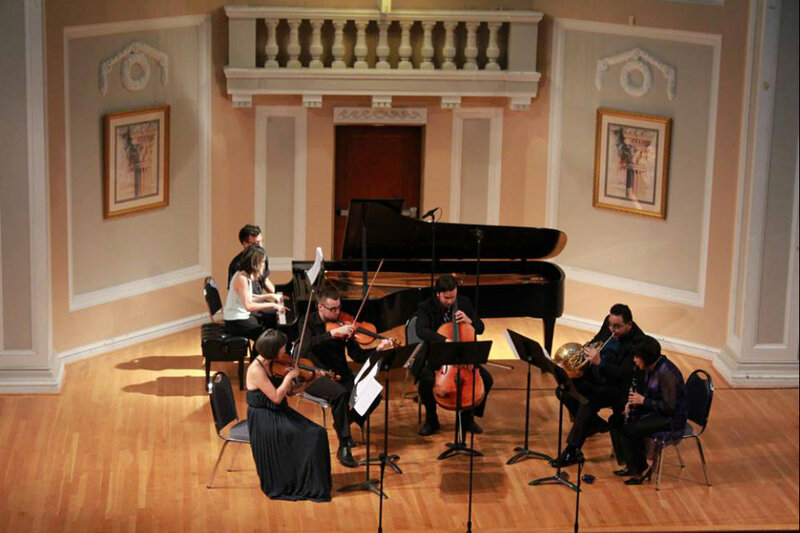 Monday, April 6 - Wednesday, April 15, 2015Mahanaim Music Festival - FacultyMahanaimHuntington, NY 11743Over 200 students from all over the world. 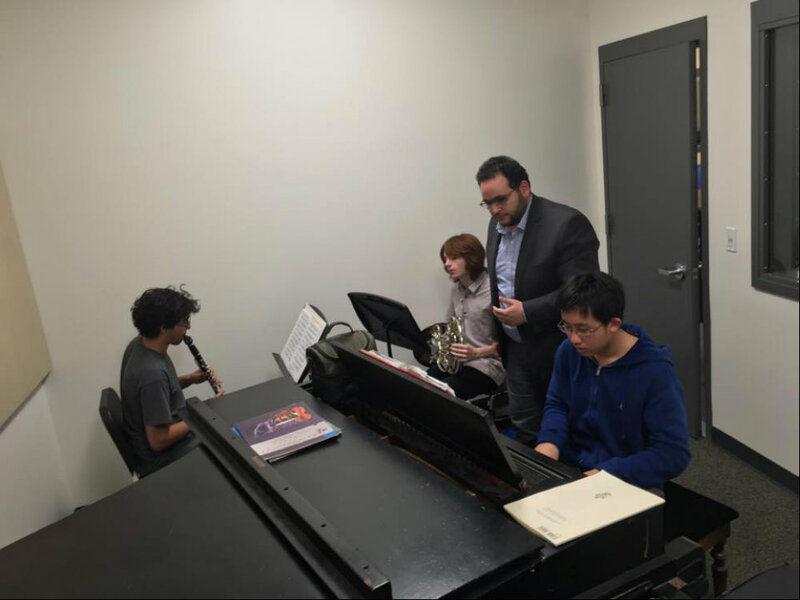 Solo and Chamber Music coachings and recitals. 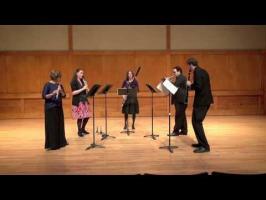 Thursday, March 5, 2015Contemporary Chamber PlayersRecital Hall, Staller Center for the ArtsStony Brook, NYDirected by Eduardo Leandro, this program features the works of composer Pierre Boulez, including Le Marteau sans Maître (The Hammer Without a Master), which sets the surrealist poetry of René Char for contralto and six instrumentalists. 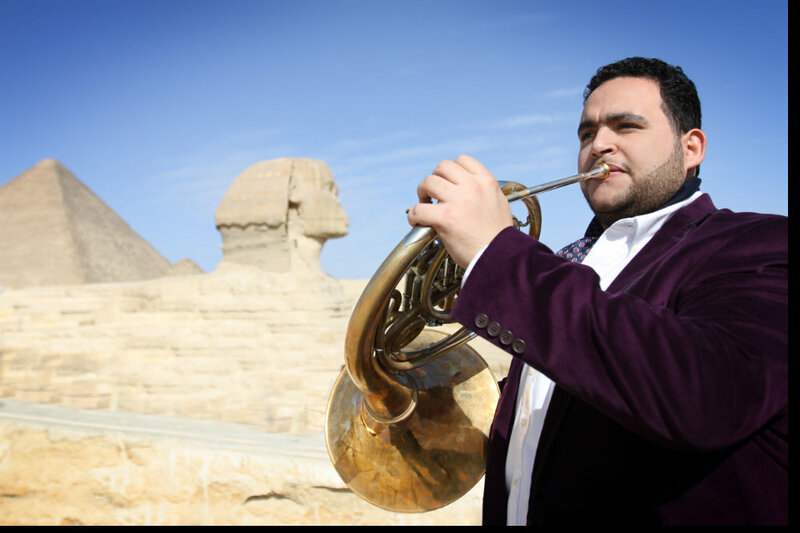 Since commissioning the Egyptian composer and trumpet player Mohammad Sawaah to write a work for horn that contains many of the Arab vocal characteristics, I have researched different ways to interpret this type of music on the horn and will perform the commissioned piece in my lecture recital. 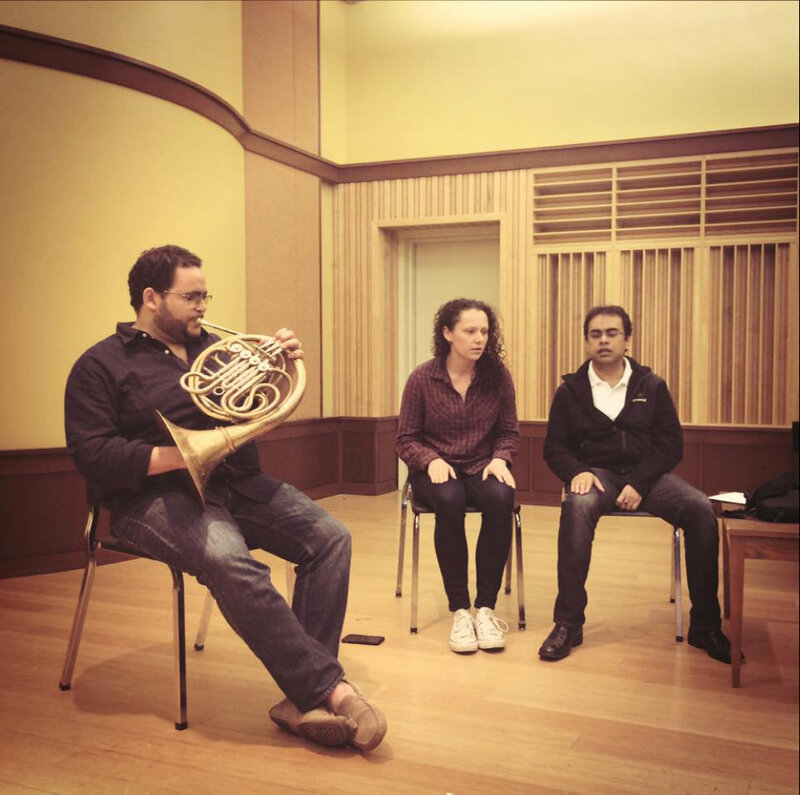 To maximize the chances of sounding as authentic as possible, along with my research, I have composed a short “Book of Etudes,” which will reflect a few different ways to practice the Arab vocal characteristics on the horn. 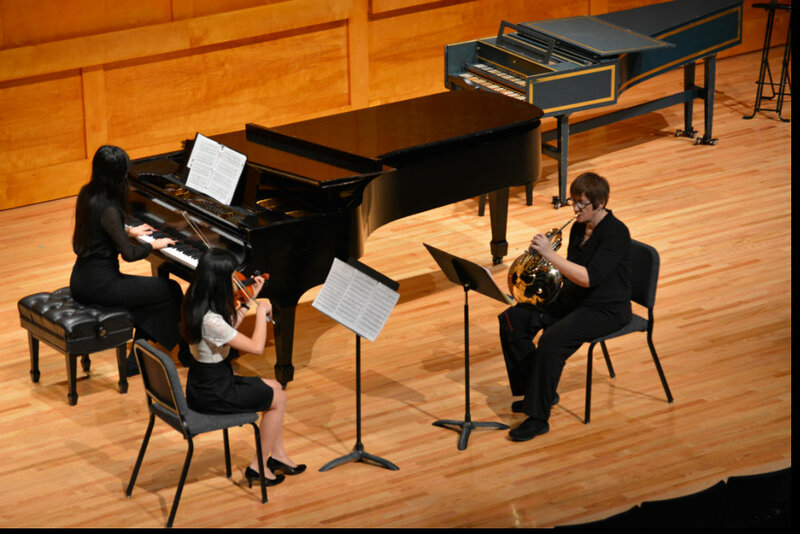 Saturday, December 13, 2014Stony Brook Pre-CollegeStaller Center - Recital HallStony Brook, NYAmr's student will perform Dohnanyi's Serenade for String Trio and a selection of Anton Reicha Horn Trios. 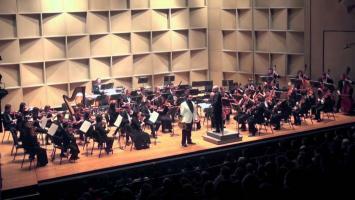 Saturday, November 8, 2014Stony Brook Symphony OrchestraMain Hall, Staller Center for the ArtsStony Brook, NY 11794Mozart, Overture to La Clemenza di Tito; Chopin, Piano Concerto No. 1 in E minor; Mahler, Symphony No. 4 in G major. 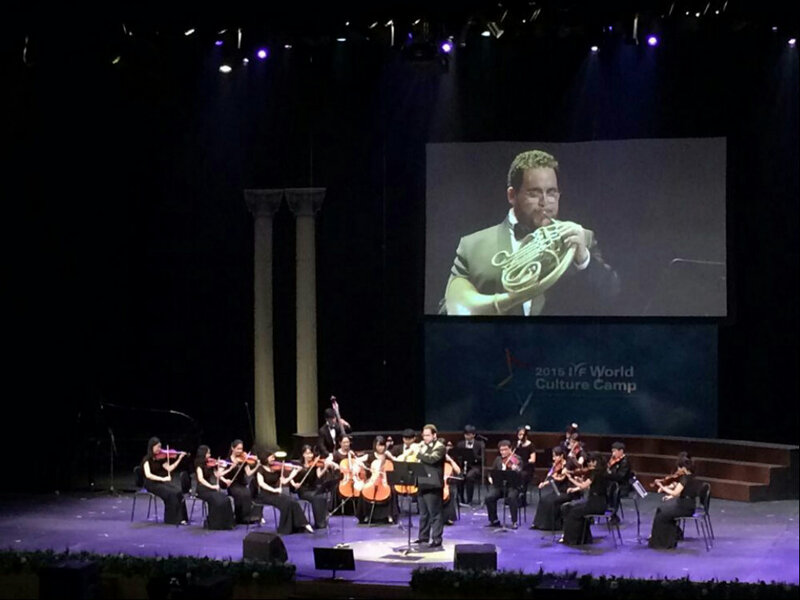 Conducted by Angel Gil-Ordóñez. 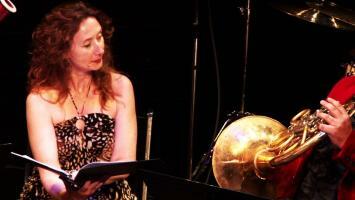 Wednesday, October 22, 2014Contemporary Chamber PlayersRecital Hall, Staller Center for the ArtsStony Brook, NYEdgard Varese’s Ionisation, the piece that jump-started the percussion revolution in the 20th century, is in its first performance at Stony Brook, including alumni and current students. The Contemporary Chamber Players will also perform the tour de force Living Toys for chamber orchestra by Thomas Adès; music by Franco Donatoni and Philippe Hurel. Directed by Eduardo Leandro. 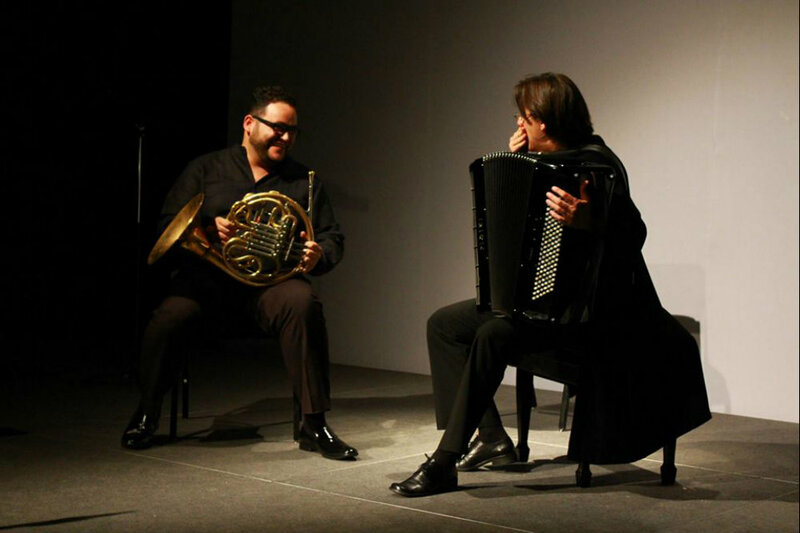 Thursday, June 26, 2014EUROFOLK CONCERTLe Petit Trianon TheatreSan Jose, CACome and take a vivid tour of Europe and experience the emotional, dynamic, and fun filled qualities of european folk music during SVMF's EuroFolk Concert! 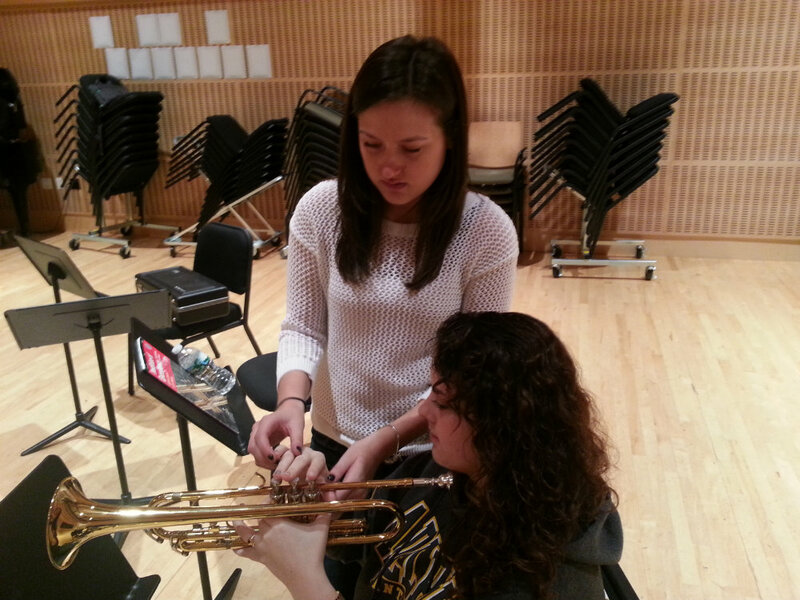 Tuesday, May 6, 2014MasterclassBaldwin High SchoolBaldwin, NY 11510Coaching the horn sections of all three bands. 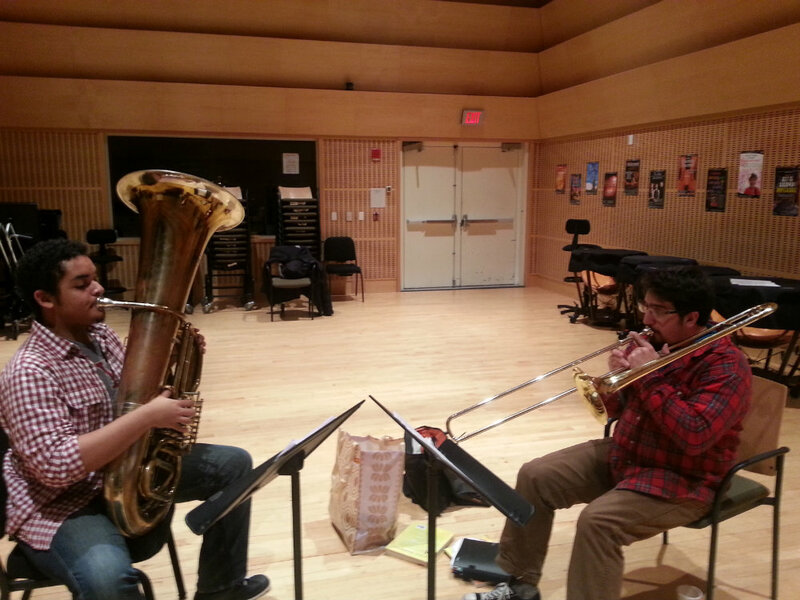 Giving individual lessons to all 12 horn players. 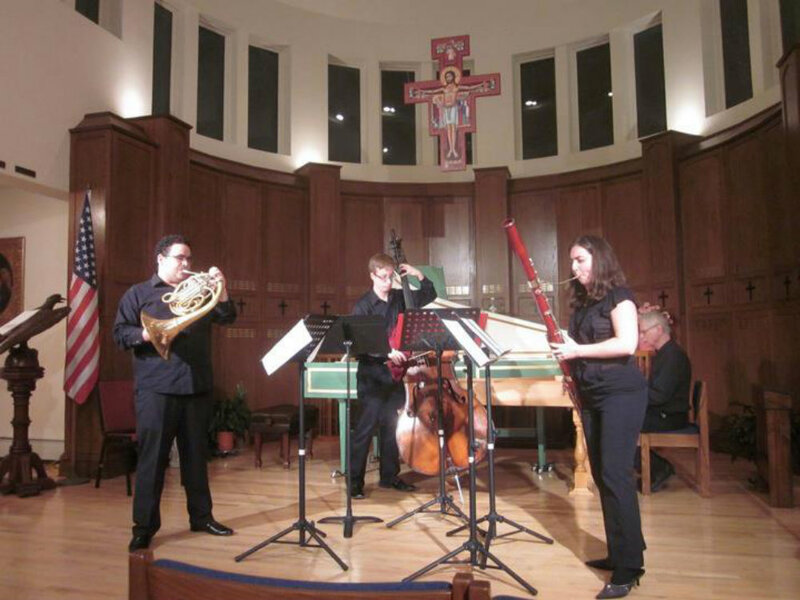 Sunday, March 9, 2014Gadayel - Grace Notes Concert SeriesBellport United Methodist ChurchBellport, NYMusic by Schumann, Rossini, Rachmaninoff, Bach, Abdel Rahim and Shokry. Wednesday, January 22, 2014Gadayel at SVMFSanta Clara University Santa Clara University Santa Clara UniverSanta Clara, CA 95053An All Egyptian music. 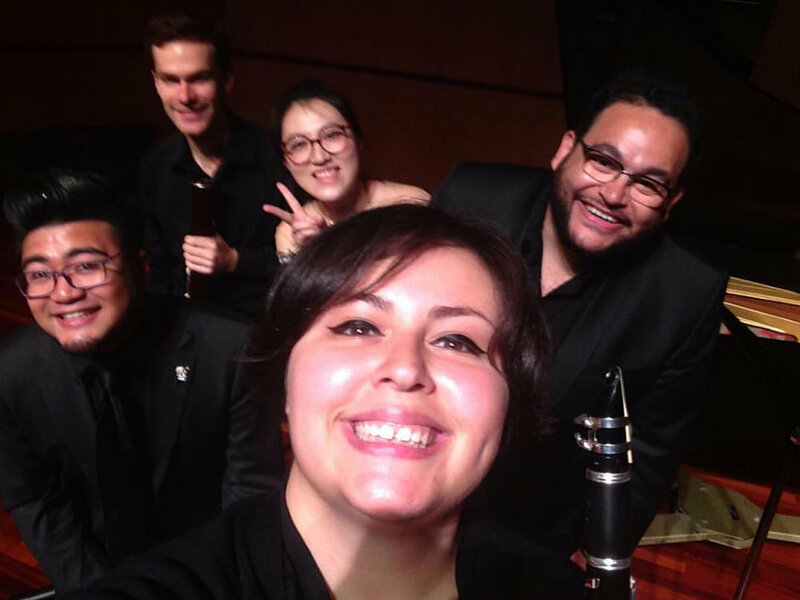 2019-04-10Common Sounds - Music @ NoonSanta Clara University Music and Dance Facility - Recital HallSanta Clara, CACommon Sounds hosted by Music @ Noon Series at Santa Clara University's Music Department. Music by: Das, Selim, Sakamoto and more..
Amr is available for masterclasses, recitals and private lessons. 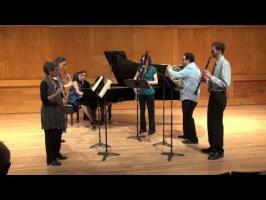 Francis Poulenc's Sextet for Piano and Woodwind Quintet, Op. 100. Conspiro! 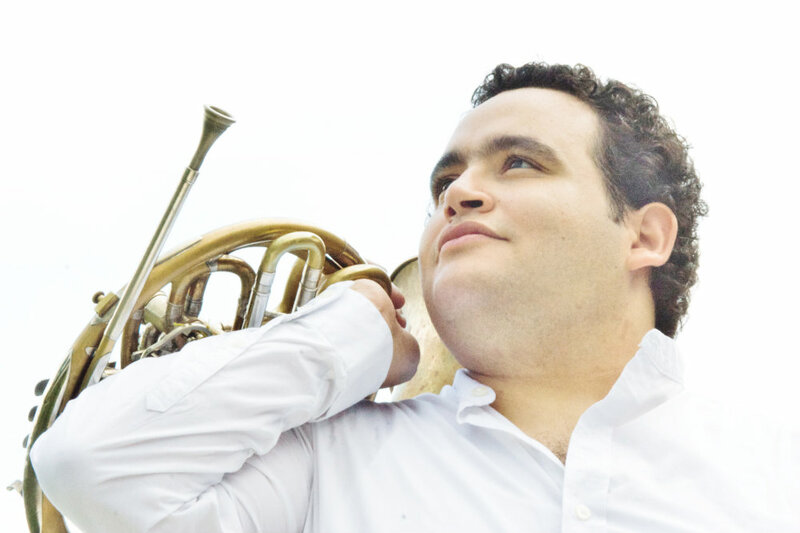 performs Villa-Lobos "Quintette in forma de chÃ´ros"
Amr Selim, horn, and the Stony Brook Symphony Orchestra and conductor Jeffery Milarsky perform the 1949 "Horn Concerto" by Paul Hindemith. October 11, 2014, Stony Brook University, NY. For me, teaching is a partnership between the student and the teacher. Hard work from both sides to keep the partnership running efficiently. 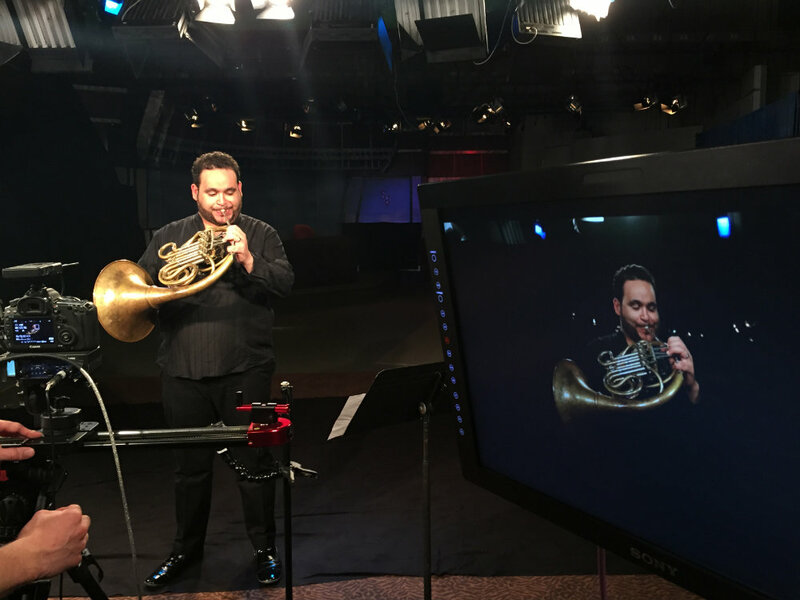 The horn is an extension of your body; playing the horn should feel easy and natural, and no matter what age or level you are, that is the concept we will be aiming for. I believe that, as with anything, something is only as hard as you make it. I also believe that Creativity is in the practice room. My philosophy is to help you get even more creative in your practicing, make playing and performing fun, to develop your love for music. 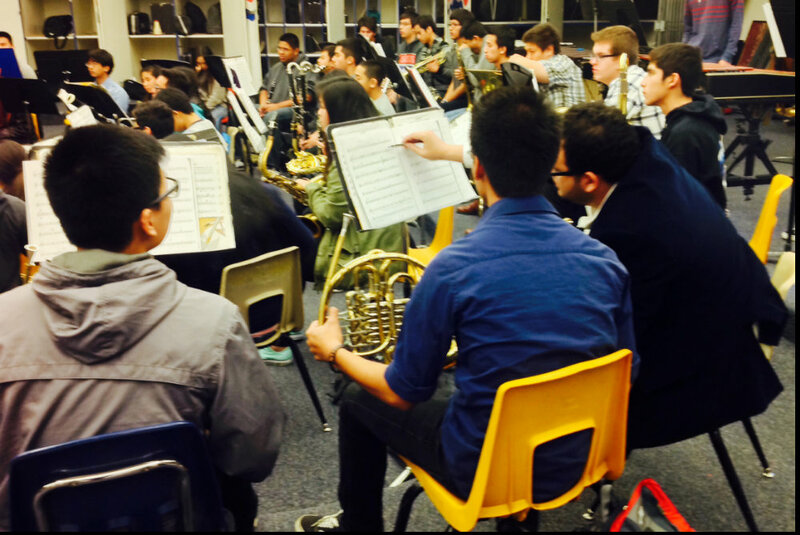 I’m dedicated to developing not just a French horn player, but the whole musician. Tailoring my teaching style to your learning style. Through the utilization of solo repertoire, progressive etudes, technical exercises, and chamber music, you will grow in your musicianship, craftsmanship, and especially your love for music. 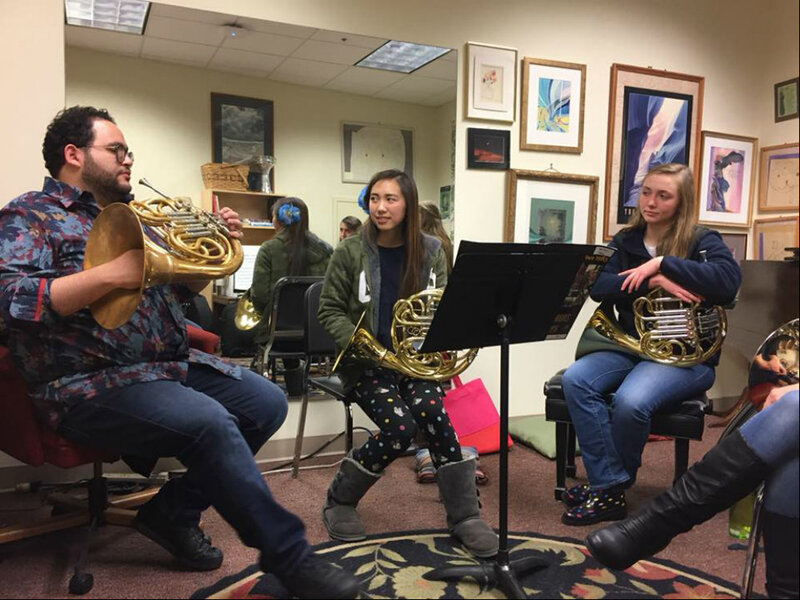 I strongly believe in a welcoming and positive teaching environment, and work to develop not only good horn technique, but strong performing and presentation skills. Let the Horn do the work for you! The notes are already there.